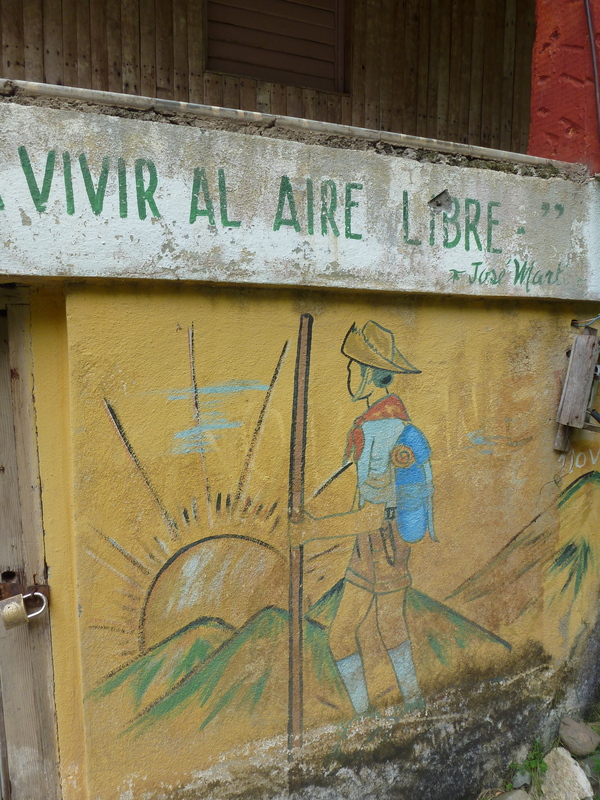 As I write this, I wonder whether the last part of Santiago’s slogan — heroica siempre — sounds a little too adoring of Fidel’s revolution. Cuba is not some socialist utopia, and Castro is no Gandhi or Mandela (though he certainly had some bromance with the latter). That said, there is a real heroic element about the David & Goliath story that is the Cuban Revolution. While Castro’s David is certainly not innocent (I guess the original David wasn’t either), he is the one leader who has stood up to America’s Goliath and succeeded. You can’t listen to many Latin American leaders for long without hearing the phrase ‘el coloso del Norte’. This nickname for the U.S. (the Colossus of the North) is the result of the Monroe Doctrine, an 1823 American policy statement that declared the entire Western Hemisphere (aka: the U.S. and Latin America. Oh yeah, and Canada.) as part of the United States’ ‘sphere of influence’. It was essentially America’s declaration that they were now joining the big leagues of Britain, France, Spain, and the Netherlands who had ruled the colonization game for so long. In the two centuries since, this has manifested itself in the form of American-backed coups, assassinations, and manipulative free trade deals in Haiti, Honduras, Nicaragua, Guatemala, El Salvador, Chile, Mexico, Panama, Brazil, and, before 1959 at least, Cuba. These have left millions dead and hundreds of millions more impoverished. But not Cuba. La Revolución has never negotiated with the U.S. on anything but its own terms. It has maintained a decent standard of living without owing (or losing) anything to the U.S, which is more than can be said for most of their Latin American neighbours. 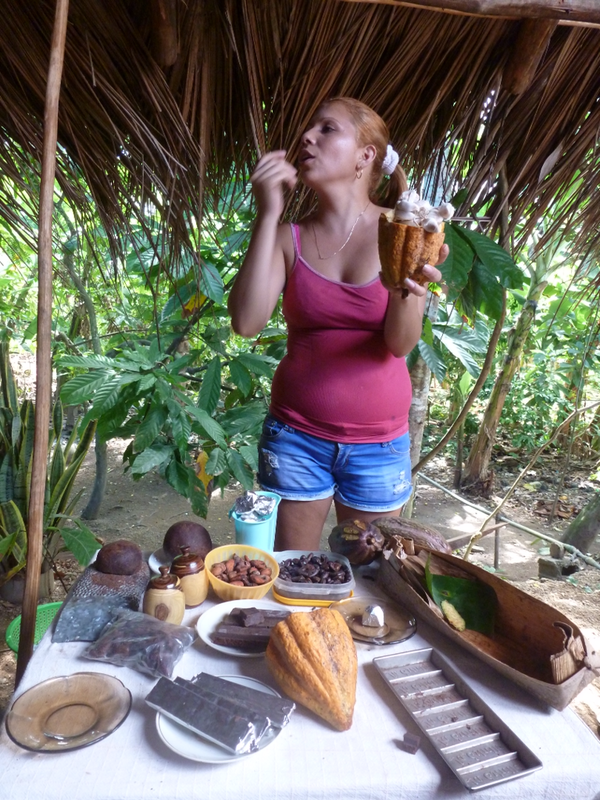 They have built industries (sugar, coffee, tourism, and, of course, rum and cigars!) that can and do compete on an international level, something that can’t happen when American companies flood the market. (For a more local example, think of how Canadian farmers struggle to compete with cheap American beef.) For this reason alone, the Cuban Revolution deserves to be called heroic. That, and the fact that Castro has avoided more CIA assassination attempts than anyone else in history. Well done, bro. Che Guevara’s words, “Always towards victory,” remind us that the revolution is not something that happened once back in 1959, but an ongoing state of resistance against American military and economic control. 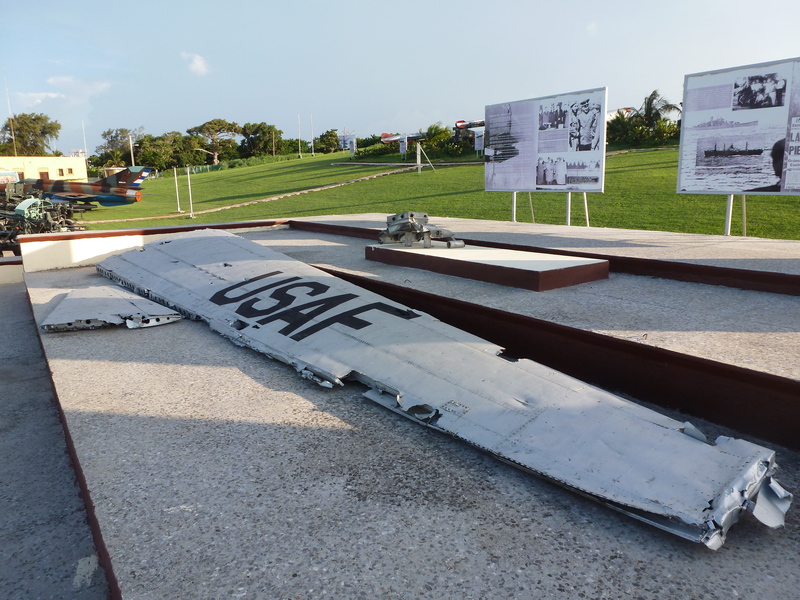 Debris from the American spy plane that illegally entered Cuban airspace during the Cuban Missile Crisis, unceremoniously placed on display on the side of the road outside of Havana, makes for a powerful symbol of resistance against ‘The Colossus’. Now, way back in Part One of these rather verbose politico-economic musings (to be fair, you were warned! ), I wondered about the price of such a stable and egalitarian society. One doesn’t have to wonder long…especially when one lives in a country that is ‘glorious and free’, governed by the ‘charter of rights and freedoms’, and is constantly bombarded with media from the self-proclaimed ‘land of the free’. Cubans are free from debilitating poverty and unemployment. Cubans are free from organized crime and drug wars. Cubans are free to access quality education and health care, regardless of race, gender, or wealth. Cuban businesses are free from being acquired by American corporations, and their markets are free from being flooded by cheap American, made-in-China products. None of this can be said about the rest of Latin America. So what, then, is it that needs to be perfected? La Revolución has succeeded in breaking many of the bonds that keep the rest of Latin America down. What the Castros (or whoever inevitably succeeds them as they reach the end of their impressively long lives) need to do next is to find a way to merge those OTHER freedoms, the ones that Canadians and Americans enjoy, with the freedoms that they have fought so hard to win. They need to find an unprecedented way to be free from America while still granting democratic freedoms to their citizens. If they succeed, they will not only have provided a road map for other Latin American nations (heck, even Canada!) to follow, but they will have finally earned the title ‘forever heroic’. 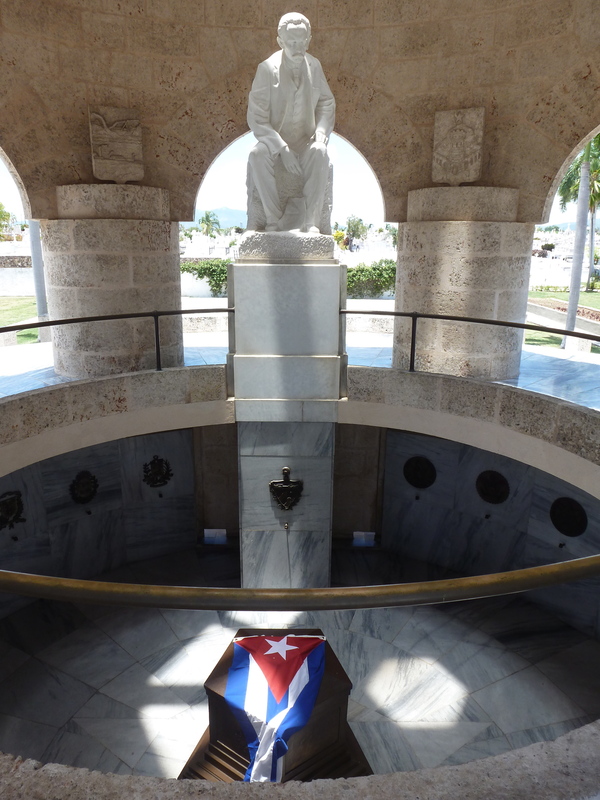 Jose Martí, buried in his mausoleum here in Santiago, was the poet that united Cubans, of all races, to fight for Cuba’s independence from both Spain and the U.S. The next few years will see if his dream is fulfilled. 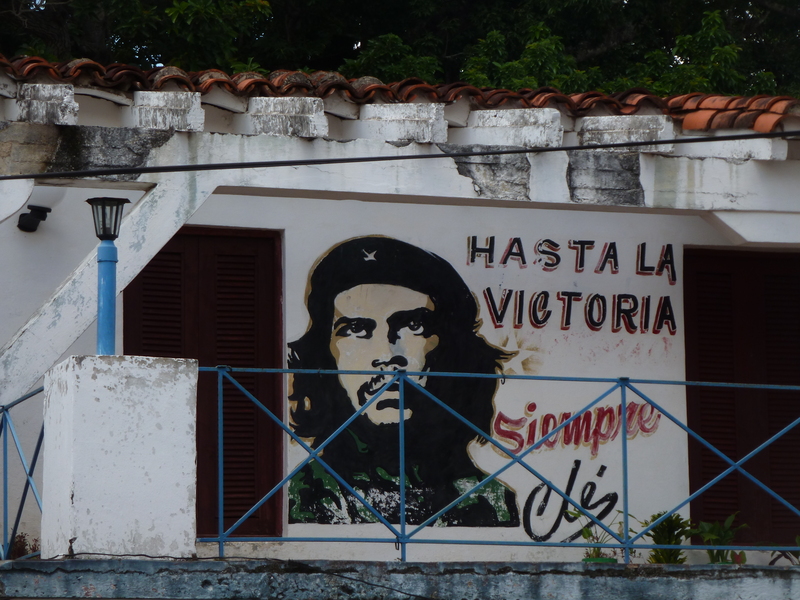 Farewell, Cuba, and good luck going where no nation has gone before. 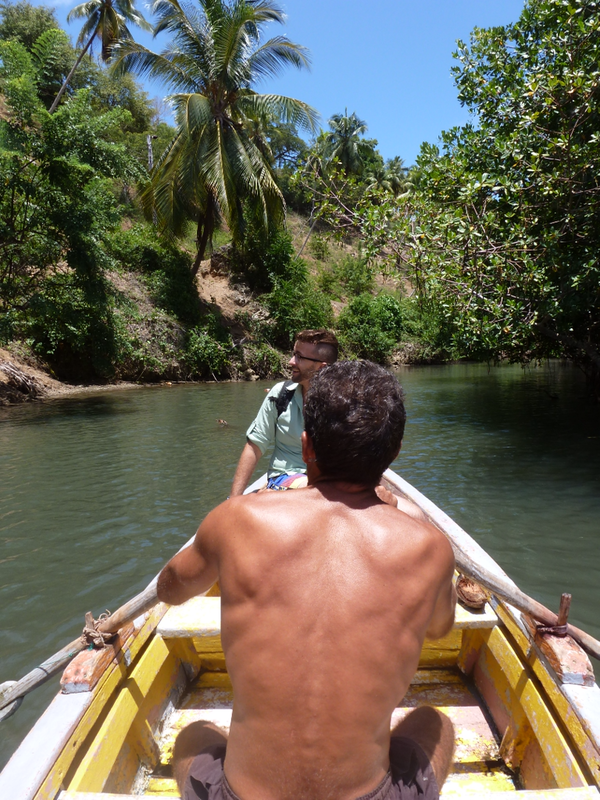 Uncouth ways of getting from A to B characterized our travels around Pinar del Río, Cuba’s westernmost province, from the very moment we left Baracoa… which is, incidentally, in Cuba’s easternmost province. 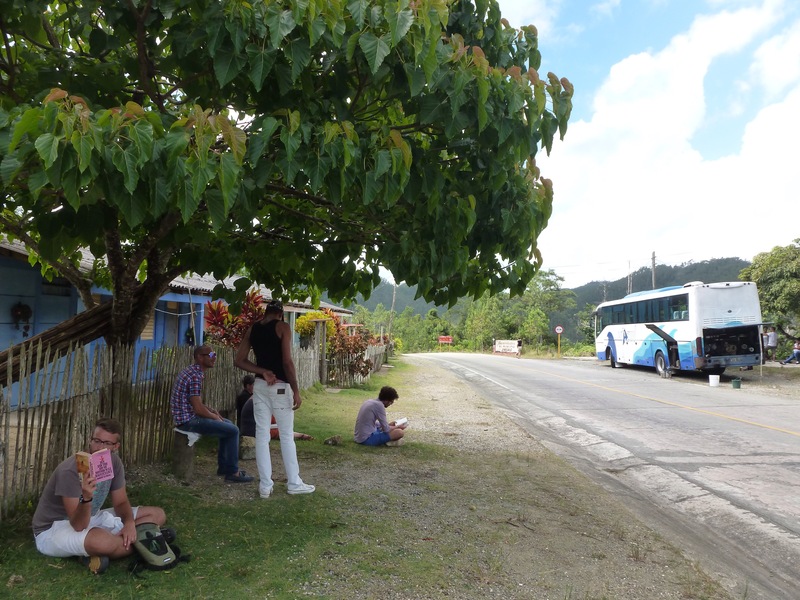 Or, more accurately, from about two hours after we left Baracoa, at which point the bus came to a halt on the top of an idyllic mountain pass. The driver got on and off the bus several times, finally to conclude, in a succinct announcement to the passengers, “Estamos rotos.” We are broken. Talk about an existential interruption to an otherwise relaxing travel day! All of this to say that by the time we arrived in Viñales thirty-five hours later, we were quite excited for some alternative modes of transport. And Viñales delivered. What followed was, in the spirit of WestJet travel writing, ‘three perfect days’ of exploring this otherworldly paradise on horseback, bicycles, and cattle-trucks. Viñales is one of those bizarre microclimates that gets a daily 4:00 pm thunderstorm. As such, paths like this one are perpetually running red with iron-rich muck. 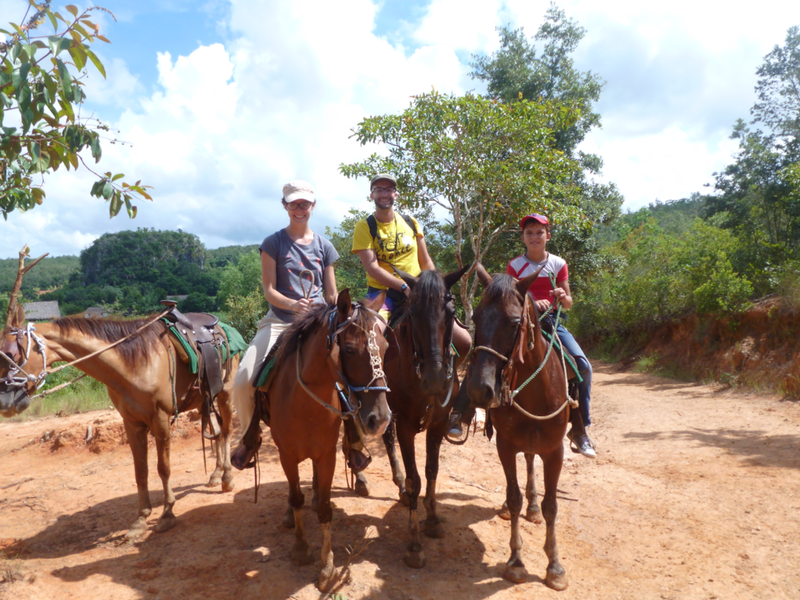 Our faithful steeds for the day and our guide, Eddy Jr. (On the right. Obviously.) Eddy is 11 years old and more skilled working with horses than we could ever dream of ourselves. We also enjoyed swimming with him later in a beautiful lily-pad-clad lake as he challenged us to races and handstand competitions. Father and son watch us as we descend into one of the many caves that hide in the forest. 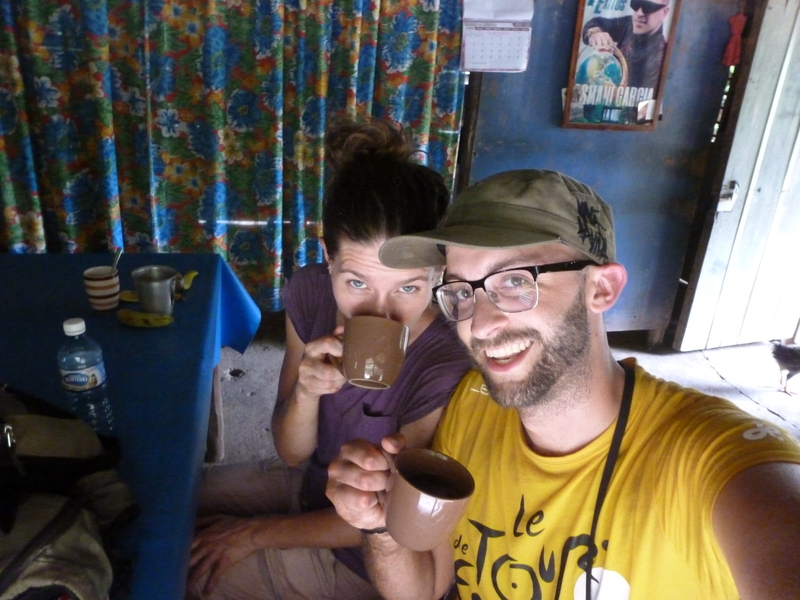 Our trek took us to a family coffee farm, much larger than the one we had stumbled upon in the Sierra Maestras. One of the (incredibly exuberant) employees gave us a detailed tutorial on the sorting, splitting, and roasting processes. He became a recurring character in our journey when he popped up that evening as the MC at a dance club across the street from our casa. 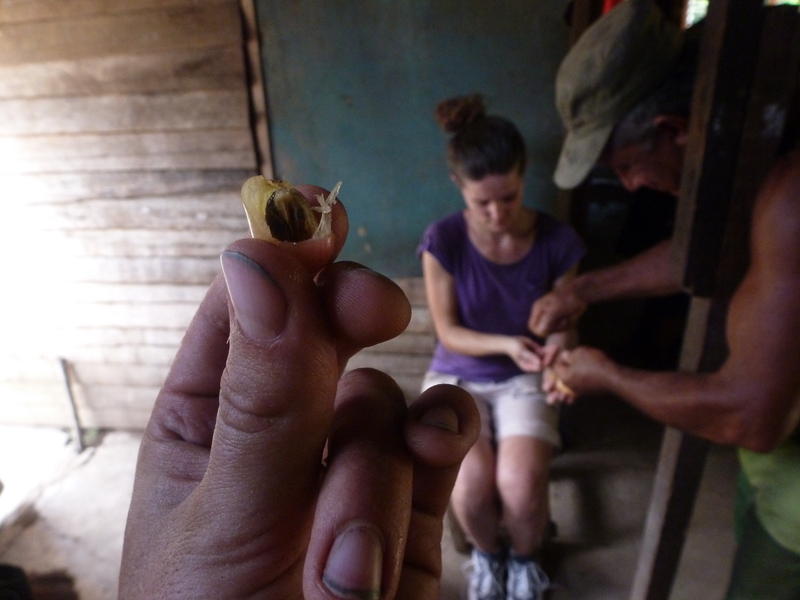 Sara trots past a secadora, the giant huts used to dry tobacco leaves. Inside the secadora, tobacco leaves dry for months after having been sorted according to where they had been on the plant (top = more sunlight and older leaves = stronger flavour, but burn much faster. The balance of top-versus-bottom leaves is what creates the exceptional smoothness and even burning quality of hand-rolled cigars). 90% of the farm’s tobacco leaves will be sold to the government to become Cuba’s signature export, while 10% remain here, hand-rolled with no filler added, to make some of the smoothest and strongest cigars in the world. Throughout the day (and in a few of the pictures above), we could see the legendary mogotes in the distance, giant limestone monoliths that look as though they were dropped out of the sky. I wondered if it was possible to get closer to these, to actually walk right up to the point where they rise abruptly out of an otherwise Manitobanly-flat prairie. The next day would answer my question. Our obviously-very-well-connected casa hostess somehow made two bicycles appear the next morning, pointing us down the street which would eventually turn into a highway that wound through the mogotes. We got out onto the open road and felt the familiar exhilaration of highway cycling, except that instead of the grain elevator-dotted cornfields of southern Manitoba we were surrounded by mogote-dotted tobacco fields. 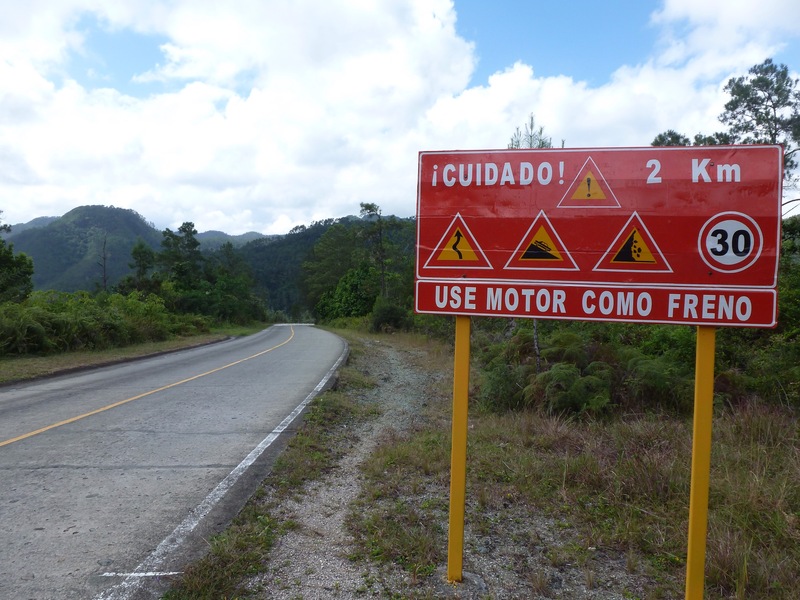 Tinker Creek’s star cyclist brings her skills to Cuba. Yep, you can! 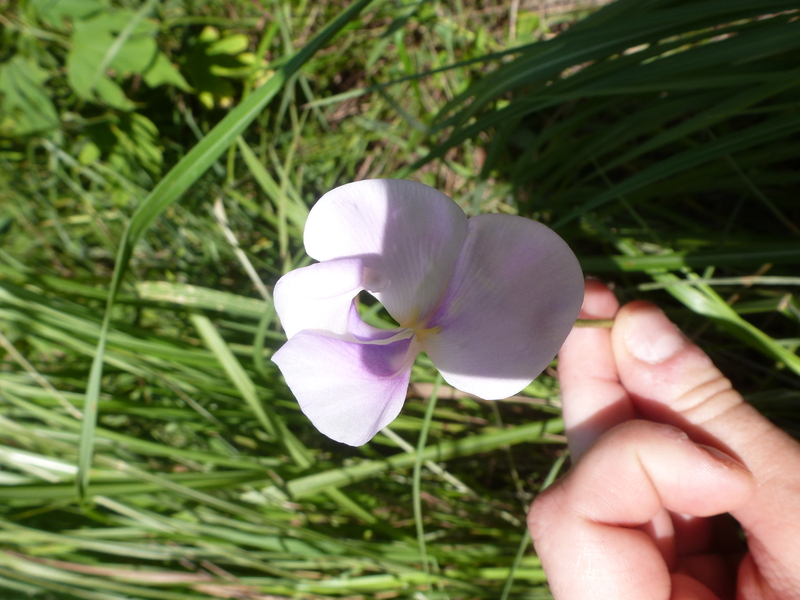 (Walk right up to the base of a mogote and touch it, that is). Most mogotes aren’t this vibrantly coloured…this one bears the Mural de la Prehistoria, a gigantic work of art depicting the evolution of life on earth. Our reward for our early start was having the entire mural to ourselves to experiment with cycling selfies. 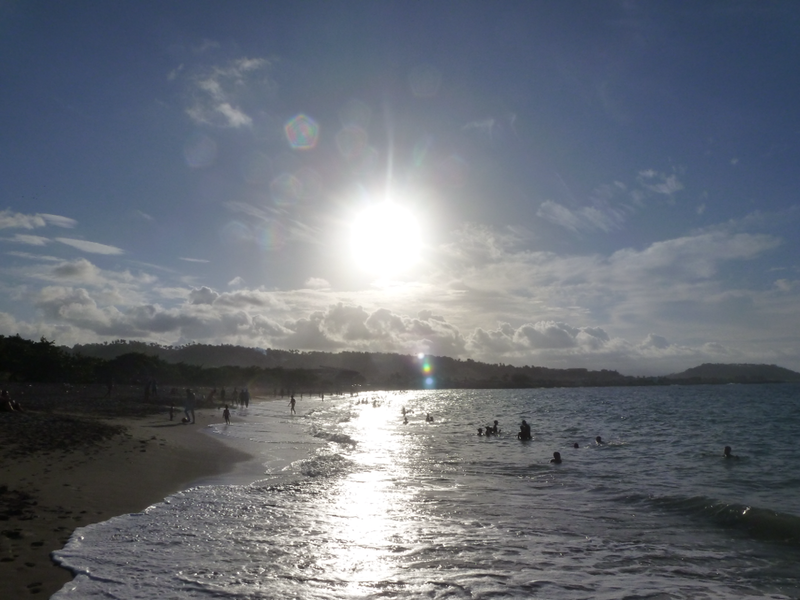 And some brief respite from that piercing Cuban sun. 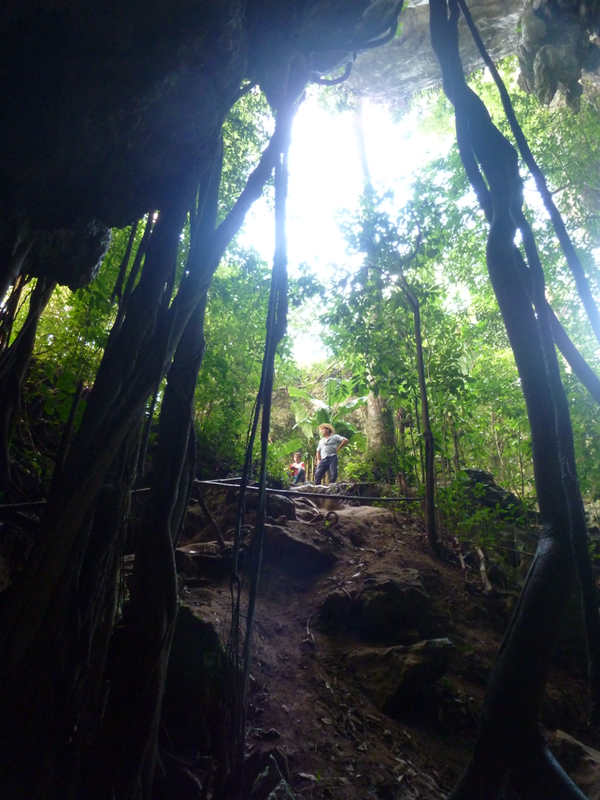 As the heat was reaching its peak, we sought refuge in la Cueva del Indio, a magnificent cave that once served as a natural fortress for an entire indigenous people. Half of it is filled with water and requires a boat to navigate, giving it an eerie River Styx quality. 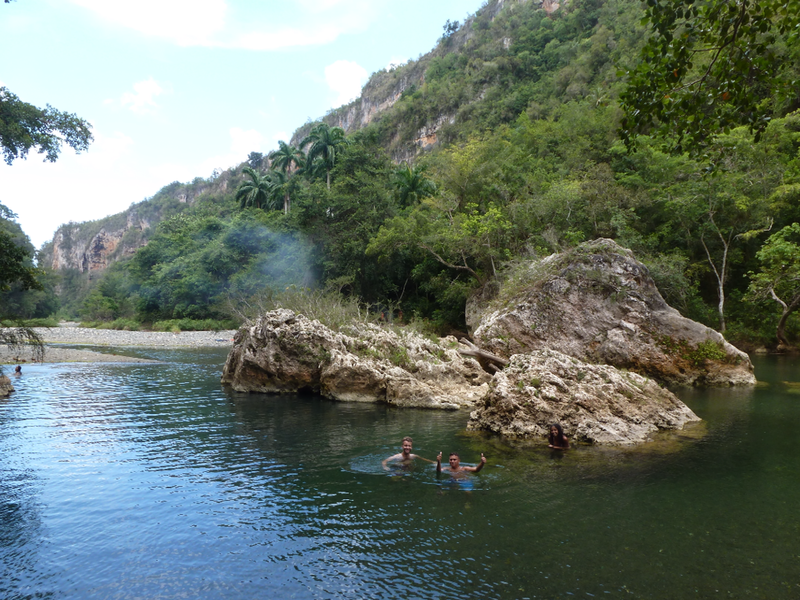 The one typical Cuban treasure that Viñales lacks is a beach, but there are plenty of taxis willing to drive you the 2ish hours to nearby Cayo Jutías for a fairly significant price. When we asked our casa hostess (who by this point was starting to seem less well-connected and more positively magical) if there was a less expensive way she said yes, and that she would arrange it for the next morning. We just had to be at the door by 8:00. While there were no cattle on the truck, it certainly could have served that purpose. About 15 of us cozied up on the bench that ran along the inside edge, and Sara was given the noble task of pulling the door shut as it swung open on every bump. 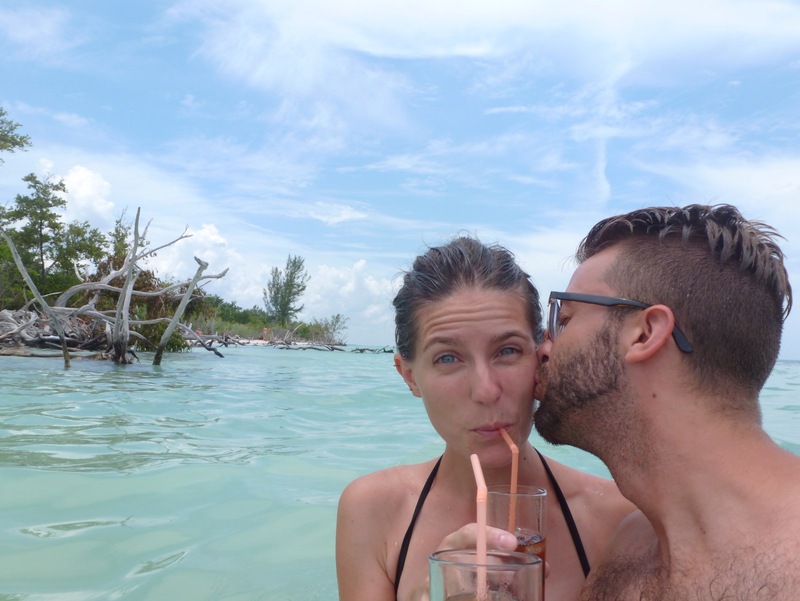 Sara and I enjoy the Cuban tradition of bringing a drink with you into the ocean. The aforementioned 4:00pm daily thunderstorm, combined with some washed-up driftwood, provided a perfectly ominous photo-op. 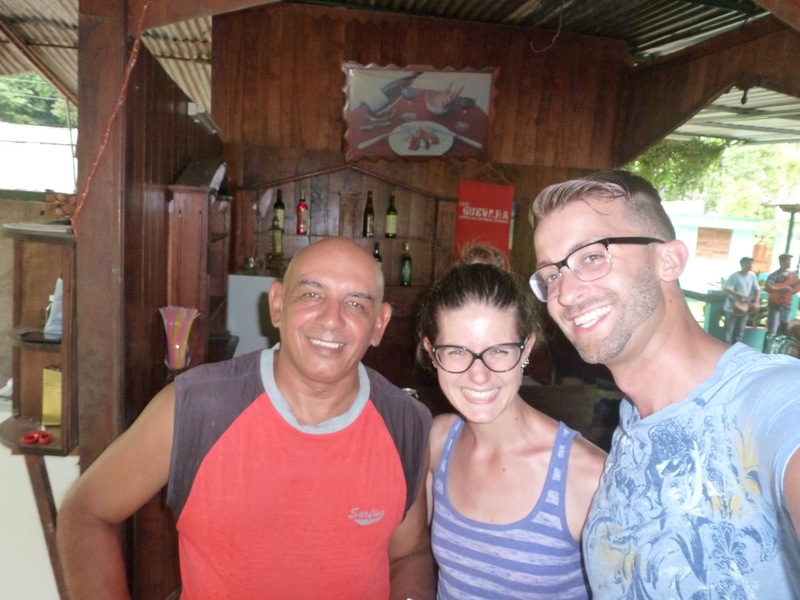 While our days were filled with nature at its most gorgeous, our nights were filled with fascinating people, like our hostess’ husband Eddy (yes, there are apparently a LOT of Eduardos in this part of the world!) 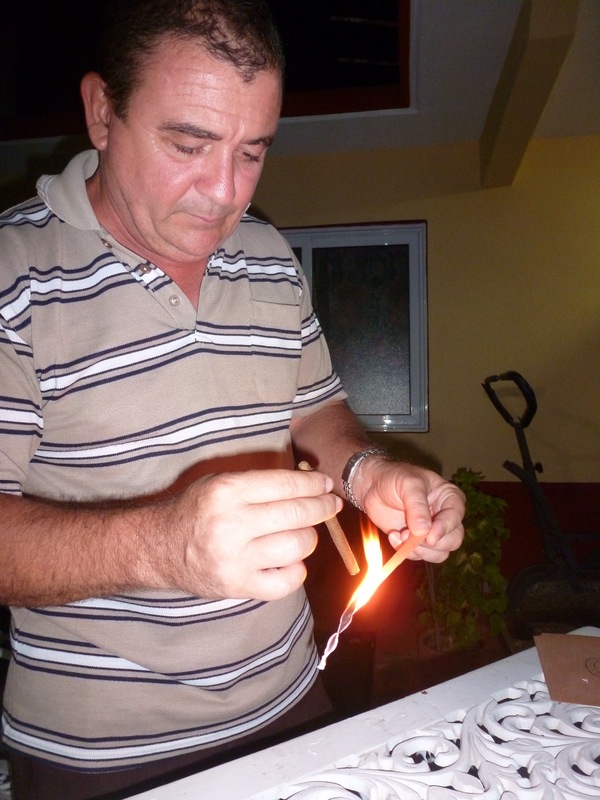 who worked at the local cigar shop, and two lovely German travellers with whom we spent the evenings eating, dancing, debating the complexities of Cuban politics, and sharing stories from the days’ adventures. ¡Muchas gracias a todos de ustedes para compartir estos dias lindisimos con nosotros! Our Deutsche travel buddies, Steffi and Marta, inspired us with their own travel stories and the incredible work they do back in Germany, before a game of Dutch Blitz that lasted well past midnight. In our other travels, we have always arrived home at the beginning of August in order to allow us ample time to prepare for the beginning of university classes. This inevitably meant that we have spent August 13, our wedding anniversary, not only jet-lagged and rather grouchy at being back home instead of in Argentina/Morocco/Mexico, but for whatever cosmic reason has also always resulted in Josh suffering from some kind of illness. Hypothermia, infected leg wounds, travelers’ diarrhea… August 13 has become invariably linked with quality time in the Emergency Department. This year, with my classes not starting until the end of August and Josh not having to go back to work until September, we realized that August 13 could actually be celebrated while still in the midst of our travels. And not only that, but only after our trip was already booked and we were beginning to research our first few topics for political analysis did we realize that August 13, 2016 was not merely our 5th wedding anniversary, but was also one Fidel Castro’s 90th birthday**… and we would all be celebrating together in Cuba. 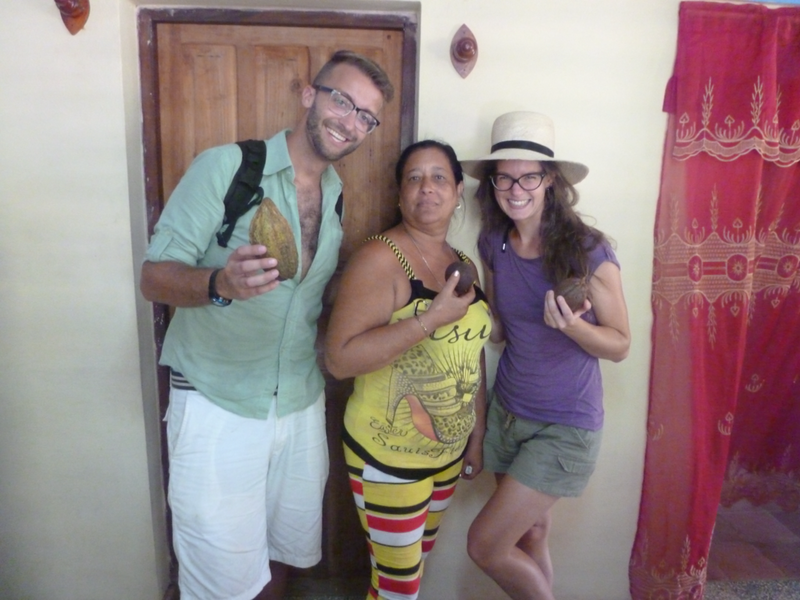 August 13 found us in the beautiful clutches of Baracoa. 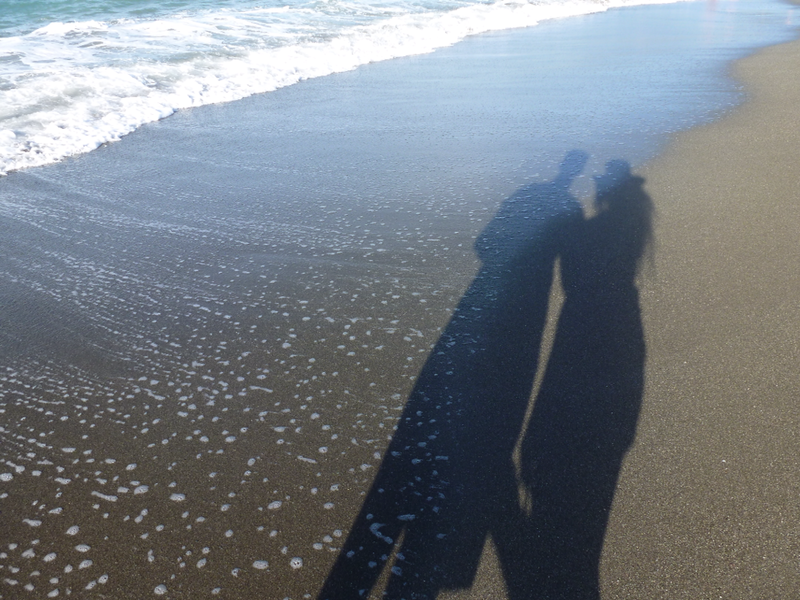 Having rung in our anniversary by dancing until midnight with some new Baracoeses amigos, the perfect anniversary gift was to spend the next day soaking up the unparalleled lazy majesty of Cuban beaches with (you were warned… excuse me for a moment as emotion takes over!) the unparalleled magic that is the company of my travelling partner, fellow passionate scholar and pragmatic idealist, and most importantly, my very best friend. Joshua, traveling and marriage bring out both the best and worst in someone. And even after 5 years of both (both traveling and marriage, as well as both the best and the worst! ), there is no one else I’d rather have by my side as I continue the adventure of building a meaningful, sustainable, community-centered life. 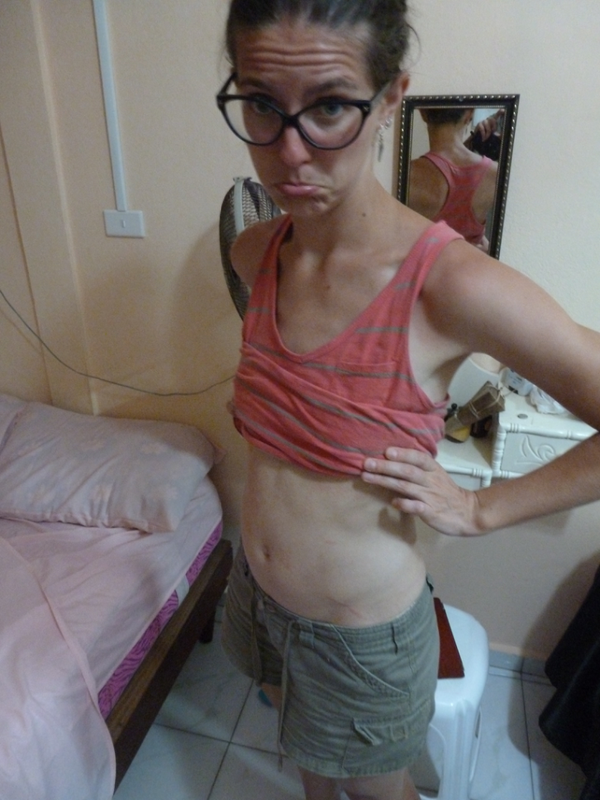 Epilogue: After a perfect day at the beach, I was swimming towards shore when a clear-green frond suddenly wrapped beneath my ribs and a million razor blades attacked my stomach. As I un-gracefully hurled myself out of the sea and began panicking onshore from the pain, a couple of helpful Cubanos lounging on the beach nodded knowingly in my direction. “Ah, hay aguas malas,” they stated matter-of-factly. “Medusas.” Jellyfish. I suppose after five years, it was my turn for some anniversary trauma! *Baracoesa phrase, literally: “I shredded myself like a leaf.” Hard to explain to a non-Cuban, but this is a very colloquial phrase meaning that one enjoyed oneself a lot at a party. 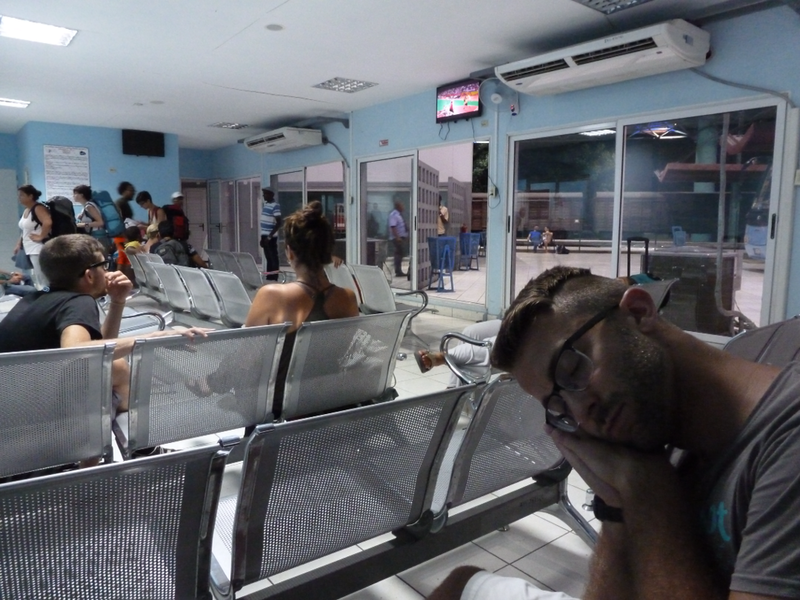 As we groggily stumbled off our night bus, we were slapped by a sensation we hadn’t felt since arriving in Cuba a week earlier: The hint of a breeze. Make no mistake, it was probably still +30°C at 6:30AM, but there was a freshness in the air, the sweetness of ocean salt that soothed our parched lungs. We clambered into the bicitaxi our host had reserved for us and creakily made our way through the sleepy streets of Baracoa. 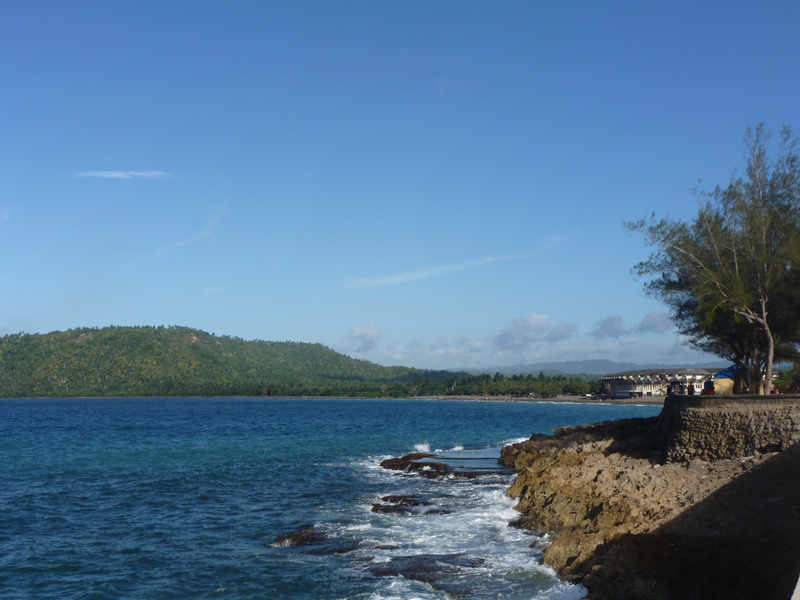 Cuba’s capital of cocoa, Baracoa is a misty, beguiling city that meanders along the coast and invites one to slow down, dig your toes into the silky black sand beaches, squint against the sun melting into El Yunque. In other words, the perfect place to calm one’s soul after the exhausting marble brightness of the inexhaustible Santiago. 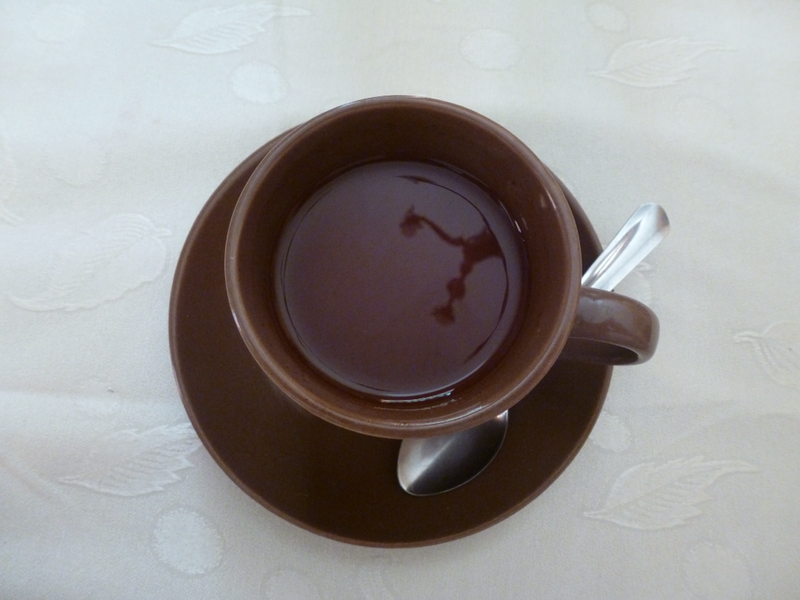 Morning breakfasts included not only smoky Cuban coffee, but also cups of pure, rich, silky chocolate. ¡Que paraíso! 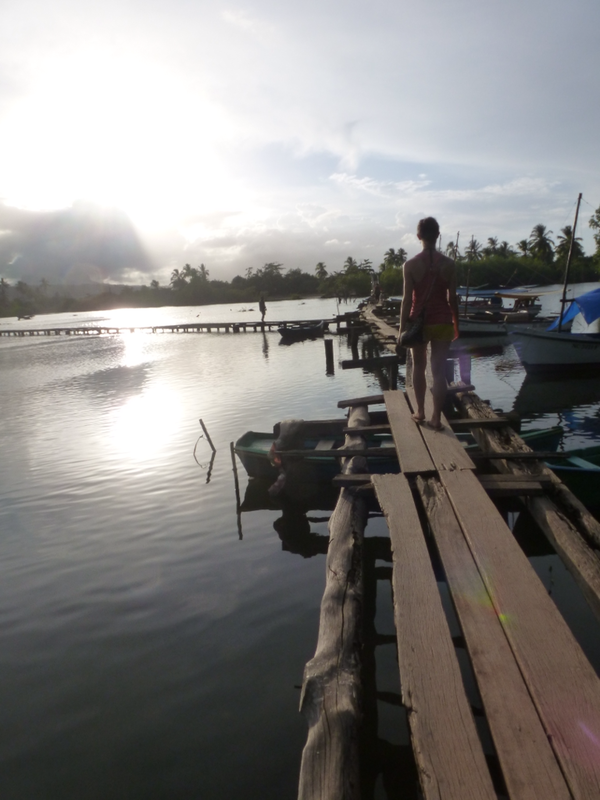 Our days in Baracoa took on a lovely languid quality. 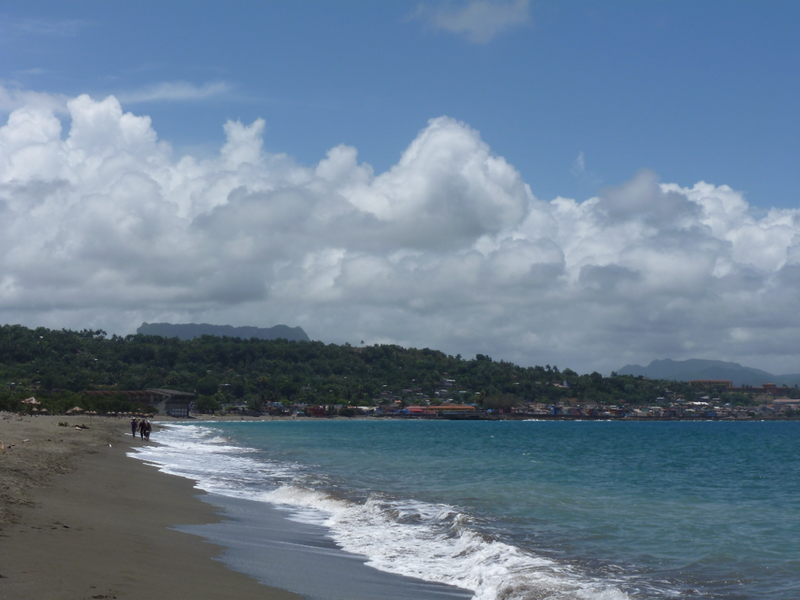 Only a ten minute walk from our casa was a delicious black sand beach sprawling the entire length of town. If you followed the beach to the tip of accessible land, you reached a turquoise lagoon, on the other side of which we were promised was hiding a tiny white sand beach. At this point, you had a choice. 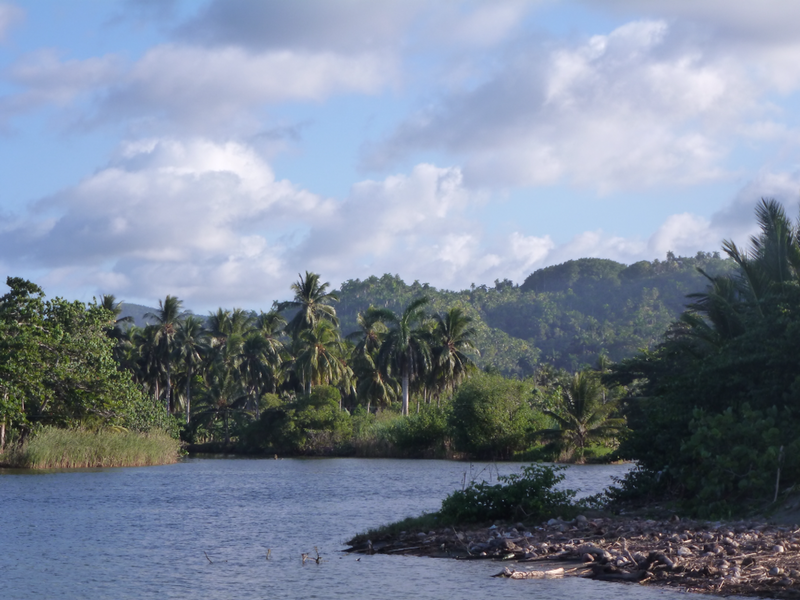 You could wind your way through the palm woods and eventually come to a bridge of shaky single planks stretching to connect to the outstretched fingertip of the fishing village across the bay. 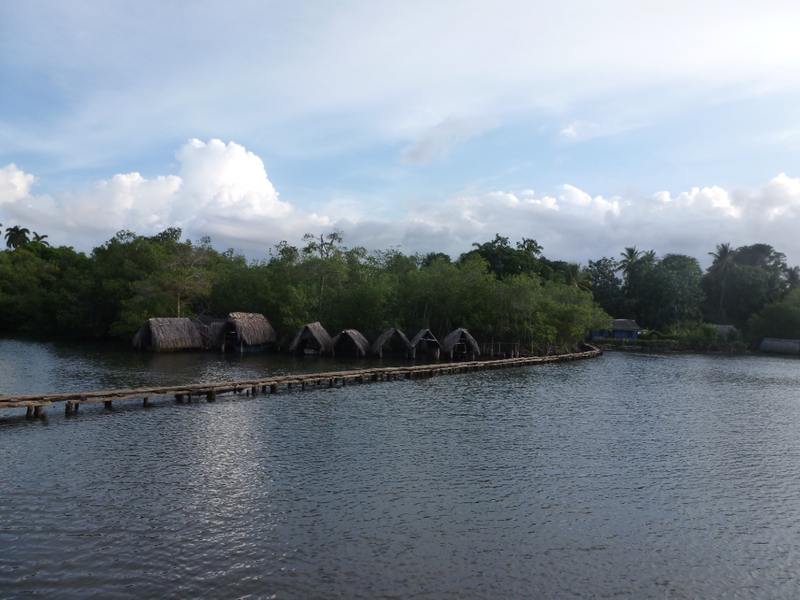 Or, you could strike up a conversation with a fisherman who then offers to row you across the lagoon in his tiny boat. 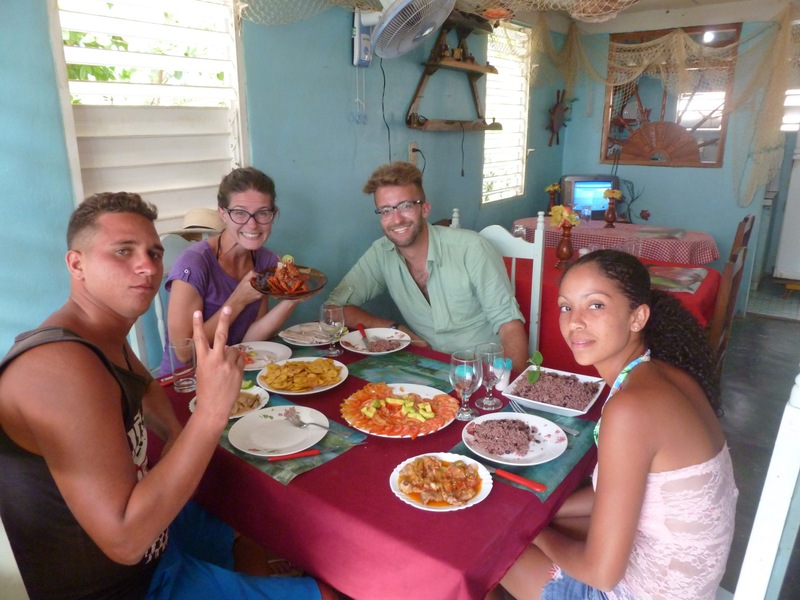 That evening at dinner, our friendly waiter not only delivered excellent service, but also a proposal: “You can’t get to know Baracoa if you stay in town,” he insisted. 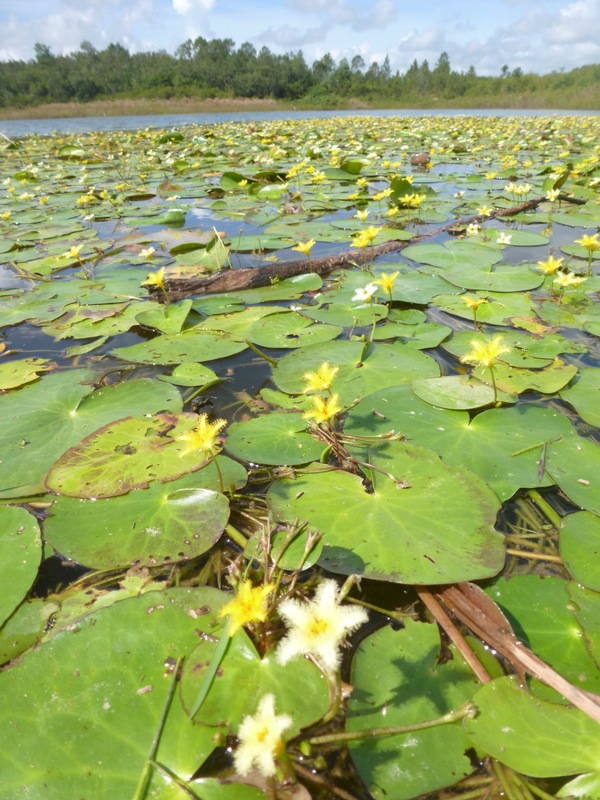 “I can get a car and take you into the mountains to see beautiful natural lakes… And La Reina de Cacao.” Now he had our attention. 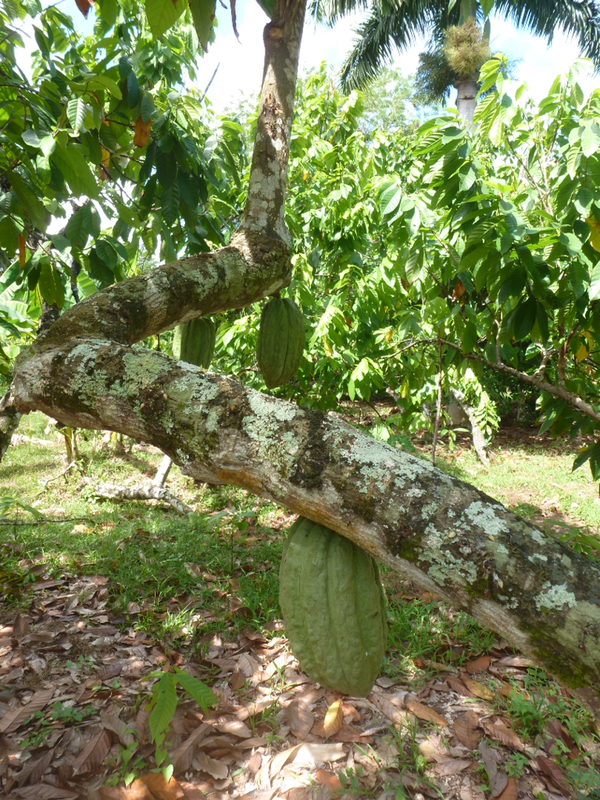 We couldn’t visit Cuba’s cocoa capital without meeting the Queen of Cocoa, could we? So, bright and early the next morning, we met back at the restaurant and piled into a cab with Félix and Yolis, our newfound Baracoeses tour guides. 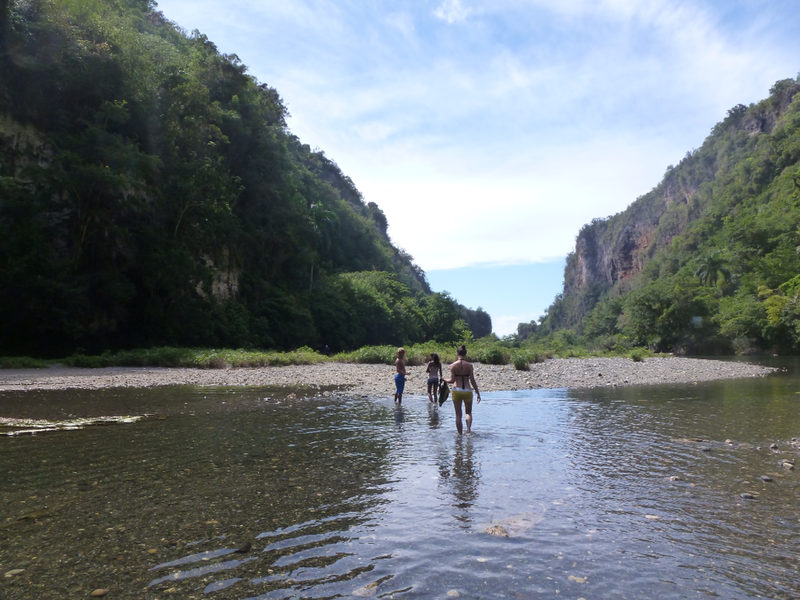 The day was spent rowing through canyons to discover freshwater pools hidden deep in the mountains, feasting on fresh seafood caught that afternoon by Félix’s buddy, and, yes – visiting La Reina de Cacao in her kingdom. La Boca de Yumurí: According to historical tradition, the Guamá people jumped off the canyon shouting, “Yo moriré!” (I will die!) rather than succumb to Spanish colonial rule. 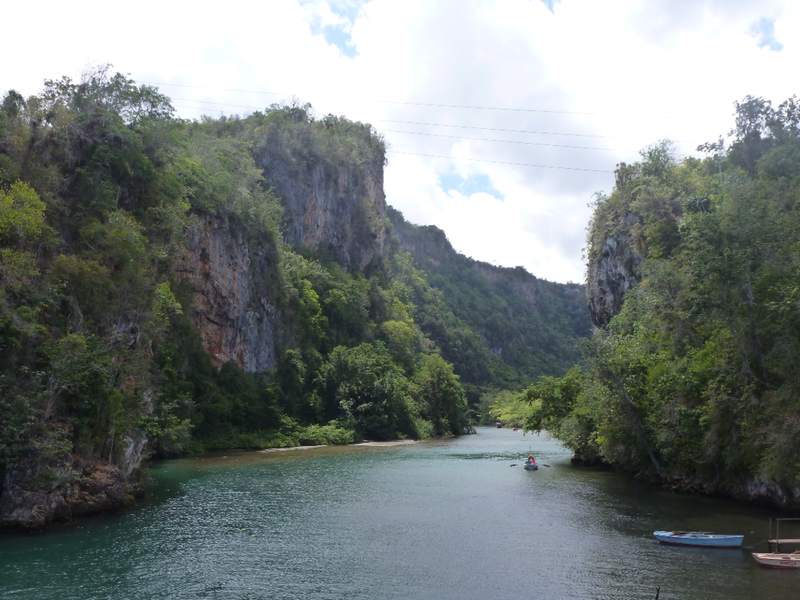 Centuries later, the canyon and river are still known as “Yumuri” in their honour. When Félix and Yolis realized our fifth wedding anniversary was the next day, they insisted that we ring in the occasion by dancing until midnight. 12:00 found us at La Terraza, Baracoa’s one and only night club, salsa-ing to “Ah-ah-ah-ah… Hasta que se seque el Malecón” (one of Cuba’s five essential songs) and toasting the beginning of five years of marital adventures with Cuba Libres and our newfound Baracoeses amigos. At first, the second phrase in Santiago’s slogan — hospitalaria hoy — doesn’t seem to fit into a discussion on Cuban politics. Yet as we discover more and more of Cuba’s skewed, seemingly backwards economy, it becomes clear that Communism isn’t always to blame, but rather an ‘ism’ that we are actually much more familiar with: tourism. Let me explain: one of the assumptions that people have about Cuba, which has turned out to be very true according to nearly every Cuban we’ve spoken to on the subject, is that professionals will often quit their jobs in order to find better-paying work in the tourist industry. We’ve read about multiple casas where both the husband and wife are doctors, yet their main source of income is the rooms that they rent out to travelers. We made friends with a young woman who had greatly enjoyed her brief teaching career, but had switched to cleaning rooms at a hostel because it paid better. This seems to be the one grievance that Cubans are pretty unanimous about. Yolis and I had some good conversations about teaching (her favourite unit to teach was ‘marxismo-leninismo’! ), though she now works at a hostel for better pay. 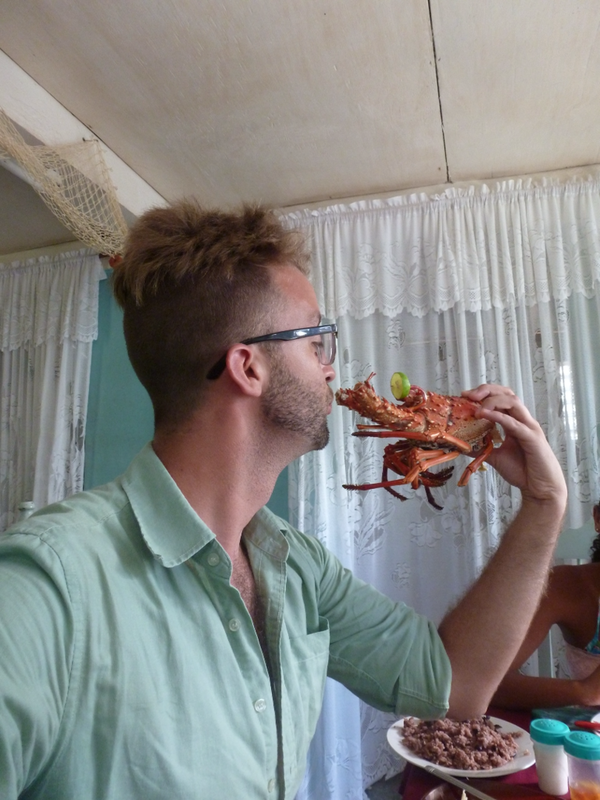 Her husband, Felix, took us to a friend’s place for some of the freshest lobster we could ever taste! So who or what is to blame for this ‘brain drain’ of talented individuals from necessary professions to seemingly mundane jobs? Communism is the quick answer, but I strongly believe it’s not the right one. 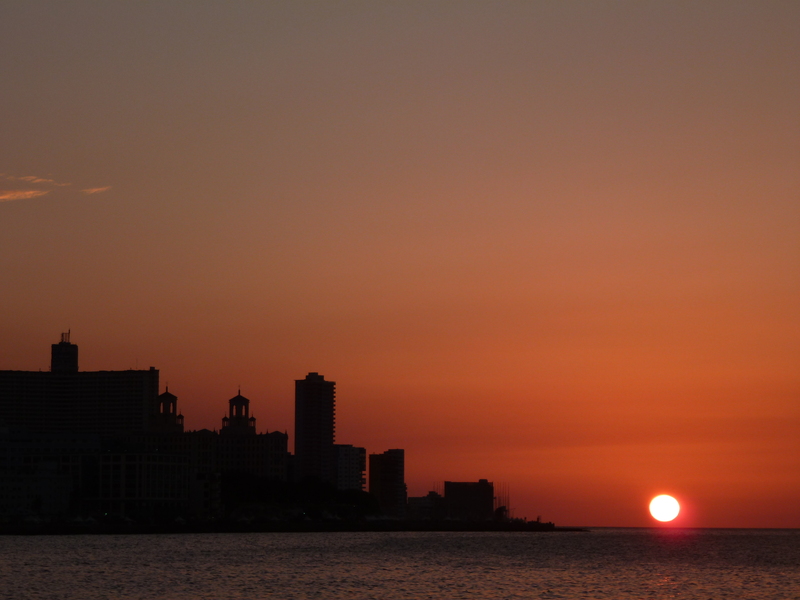 Tourism is a real industry in Cuba, on which entire cities and sub-industries can be built. There’s money in tourism, and public sector jobs like medicine and education are going to struggle to compete, regardless of whether it’s a communist dictatorship or a socialist democracy. It’s hard to fathom this, coming from a place like Manitoba (where our biggest effort in the realm of tourism is putting the word ‘friendly’ on our license plates), but it makes a little more sense if we substitute a different money-maker into the equation. When I was teaching in Gillam, for instance, it was a real challenge to get students to see value in post-secondary education when Manitoba Hydro was right there, offering them very well-paying jobs straight out of high school. Though cleaning rooms in a hostel seems much more servile than working as an electrician for Hydro, the principle is the same: teaching, nursing, and doctor(ing?) don’t actually generate any new wealth, therefore industries like hydro (in Manitoba) or tourism (in Cuba) are always going to be luring people away. This isn’t to condemn these industries — they bring much-needed capital to their respective communities, after all — but rather to make sure we’re pointing fingers in the right direction. Casas particulares (‘private houses’, which makes more sense when contrasted with nearly every other business in Cuba, which are public) have become an insanely popular way for Cubans to make some extra money. While they are technically a capitalist business venture, Castro and Marx can still approve of them because the means of production (i.e. : the bedrooms and kitchen) are still owned by the workers, thus avoiding a bourgeois-proletariat relationship. 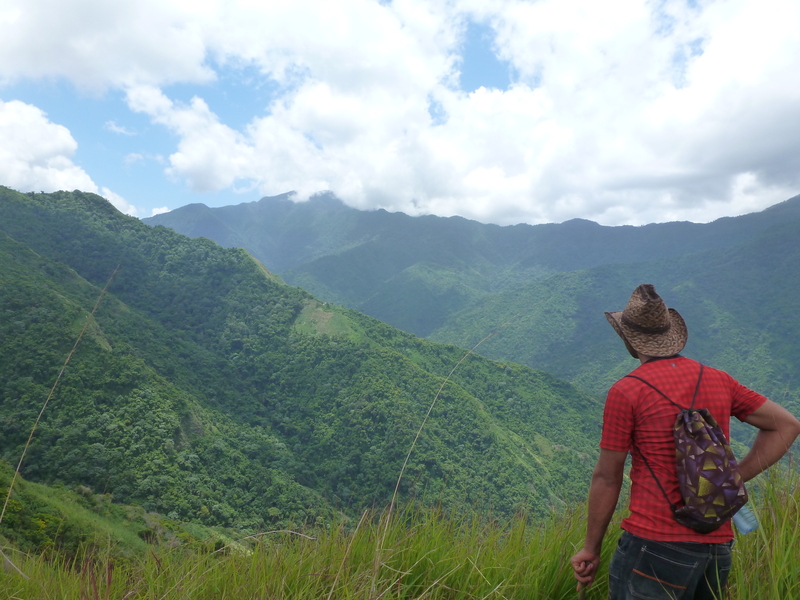 Ulises, our Sierra Maestras casa owner is a great example of this system’s success. The challenge, then, is for the governments of these countries to invest money in the professions where talented people are needed. The Canadian government, for instance, pays its doctors much more than it otherwise would in order to keep them from disappearing to the States where they could make more. Likewise, the Cuban government needs to start paying its doctors/nurses/social workers/teachers more than it otherwise would in order to keep them from disappearing to the tourist industry where they could make more. The problem is not one of ideology, but rather of maintaining the delicate balance between industry (where money is made) and public services (where money is used to create healthy and just societies). This point was made abundantly clear to us during a conversation with a Cuban shop owner. “I make more money selling trinkets to tourists in one week than a doctor makes in a month. That’s not right!” To which we nodded in agreement. Then she continued: “In Canada, you could just open your own private clinic and charge whatever you want.” To which we emphatically shook our heads in disagreement. The conversation meandered in other directions after that, but it was good for all three of us to see and deconstruct this spectrum that many perceive to be true: communist Cuba at one end, capitalist America at the other, and progress moving definitively in the direction of the latter. Especially as walls are brought down between these two neighbouring nations, it is essential that Cuba see this spectrum for what it is: a myth. 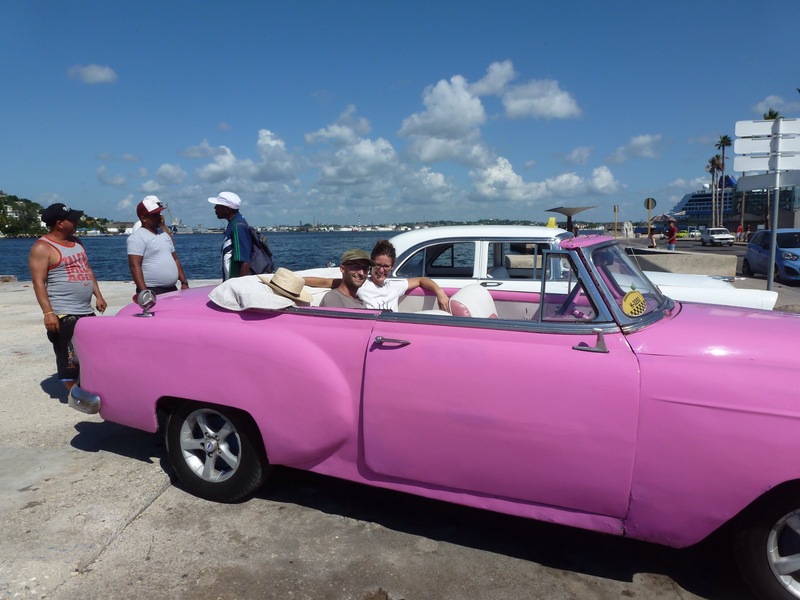 Lemons into lemonade: because of America’s embargo against Cuba, the only American cars in the country are from the 1950s). Not only have they, through sheer ingenuity, kept these cars running for over half a century, they’ve turned them into a major tourist attraction. Thanks, Yeridan, for hooking us up! Before coming to Cuba, it was my goal to somehow find a singular book that would finally make sense of Cuba’s long history. Our entire trip was irrevocably changed for the better when I stumbled upon Tom Gjelten’s Bacardi and the Long Fight for Cuba: A Biography of a Cause. It’s a hefty piece of text (360-some pages), but I cannot more highly recommend this book for anyone travelling to, or even considering starting a conversation about, Cuba. Every other book I tried to read picked up somewhere in the middle of the last Revolution, assuming that you were either already well aware of or simply didn’t care about the decades of revolution, culture, policy, and coups that had set the stage for La Revolución in which Cubans are currently living. 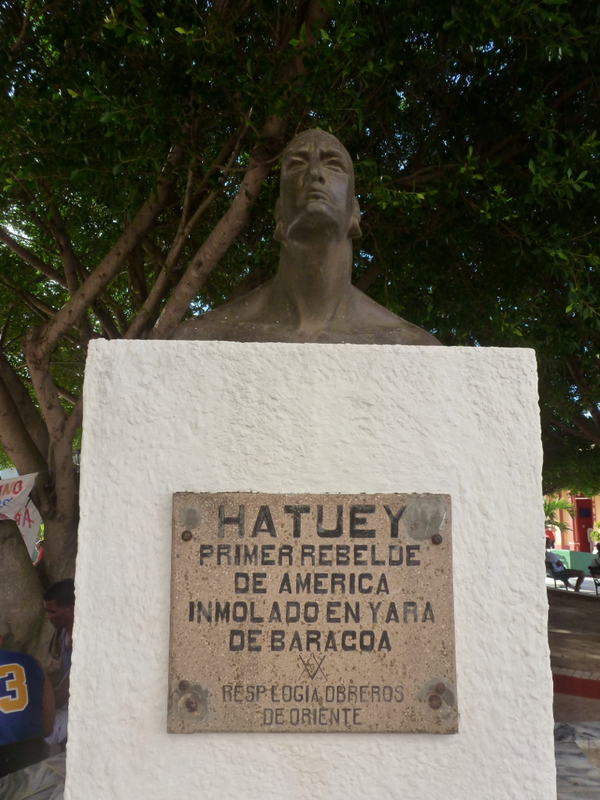 Gjelten’s Bacardi, however, begins in the 1400s with a vivid description of Hatuey, the Tainó chief who refused to convert to Christianity and so was burned at the stake by colonial missionaries (and much later had the Bacardí beer named in his honour). 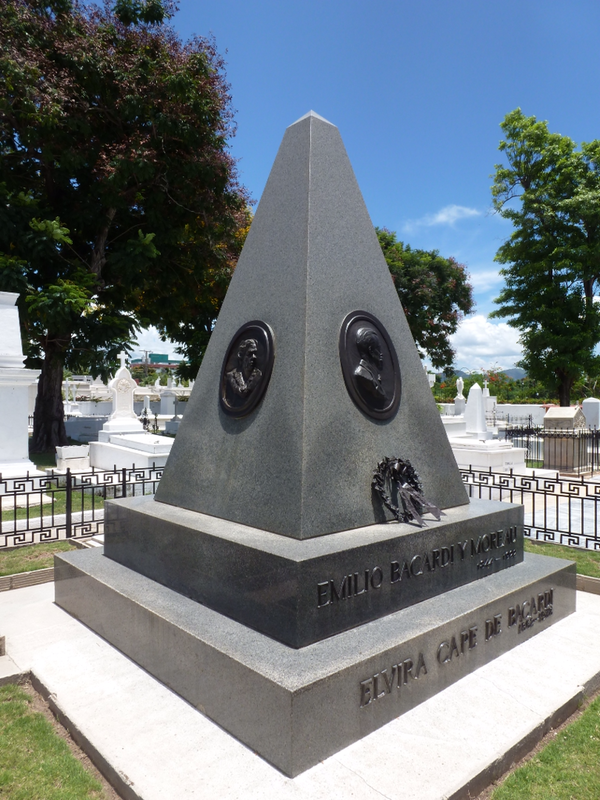 The book then traces the political history of Cuba to present day by following a single family, the Bacardís, who were intimately involved in every sphere of Cuban politics. It’s a work of history that reads like a novel, bringing revolutionary characters to life in a way that illuminates the heroic, the ugly, and the impossible choices at either extreme of the political spectrum. Above all, it illuminates the need for a third political space, for a blending of capitalistic competition and socialist community in order to bring the most success to all economic spheres of a country. After both reading this book (and un gran aplauso for my notoriously slow reader of a husband who actually got it done before we left! 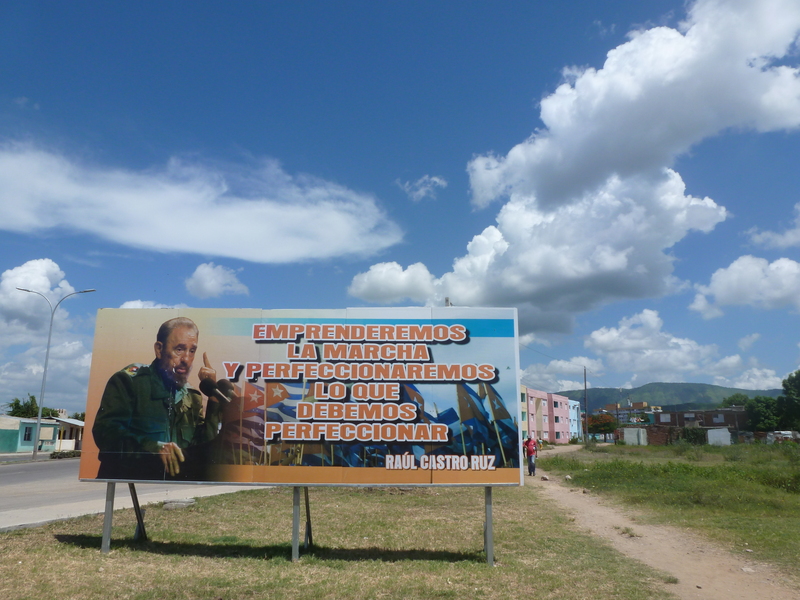 ), there was no doubt in our minds that our trip needed to begin in Santiago de Cuba, the original capital city of Cuba and the originating site of nearly every catalytical event in the Cuba we see today. Upon arriving back in Santiago from Santo Domingo (read about that here & here), with quads screaming and a heel missing, we were out the door the next day by 10AM and didn’t stop walking until 6PM. 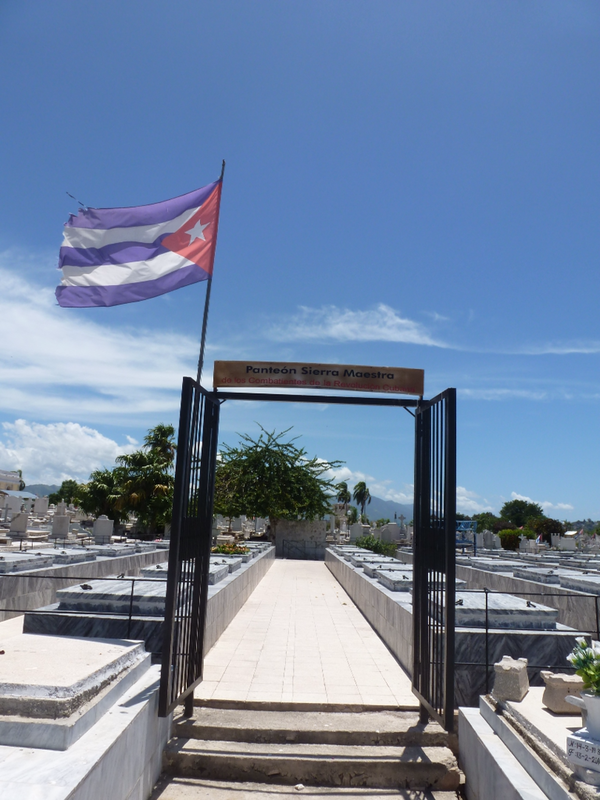 Our first stop was the Cementario Santa Ifigenia, final resting place of illustrious figures such as the fallen of the 26 of July movement, los Bacardís, Compay Segundo, and José Martí, one of Cuba’s most inspired revolutionary voices. 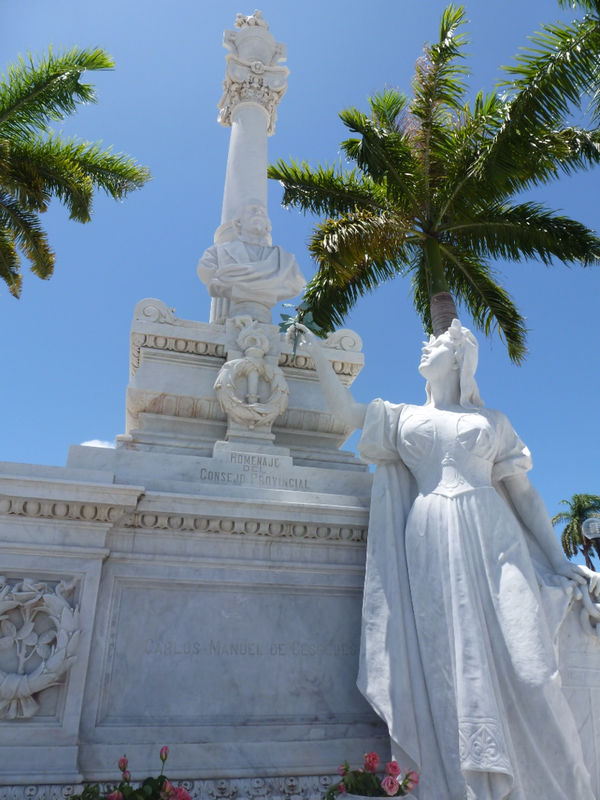 Monument to José Martí, the Cuban national hero whose poetry united the Cuban people towards revolution and independence. We stopped for a moment of precious shade beneath a tree, where a friendly guard struck up a conversation with us, showing us around the graves, explaining the differences between “colectivo” graves of the poor and the “particular” crypts of rich families. He was a military veteran, having fought in Angola, and showed us his future spot in the colectivo wall of the Panteon de los Soldados. He then beckoned us over and showed us a tiny square in a vast concrete wall, one of thousands of colectivo cremated remains, but this one with a name and date hand-scrawled in black paint across the front. It was his brother’s grave, who had died suddenly only a year ago. His brother was one of the lucky ones with someone left who remembered to write his name. For all the famous graves contained in that beautiful place, that small grey square sitting on a weedy patch of parched grass at the back of the cemetery became the most sacred spot. Burnt and thoughtful, we left el Cimentario and soon realized we were very close to another memorial of sorts: the former Bacardí distillery, nationalized in the sixties. From all my reading, I knew to keep looking past the giant red building now used as a national distillery, and across the railway tracks I suddenly glimpsed the familiar name on a concrete arch nearly worn away by years of scorching sun. It was astounding to stand on the very spot where the former mayor of Santiago had built an empire in order to bring prosperity and stability to his beloved Cuba. Unfortunately, like most family empires (and like most revolutions! ), there were some moments and characters that were more respectable than others in the Bacardí story. 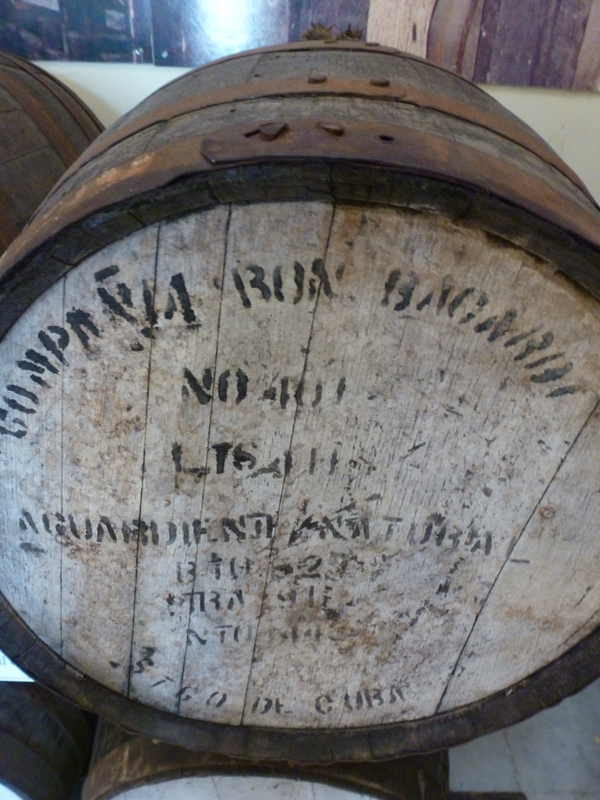 But as a whole, the Bacardís during the revolution era brought not only innovative business reform to Cuba on an international level, but also sweeping social reforms to their city and to business principles as a whole. Frustratingly, the Bacardí-Castro story is one of so many “what ifs.” What if Castro had recognized that private business owners could also hold revolutionary socialists ideals, and allowed them more freedom in the day to day operations of their companies while still holding them to the cooperative ownership and accountability of the new revolution? 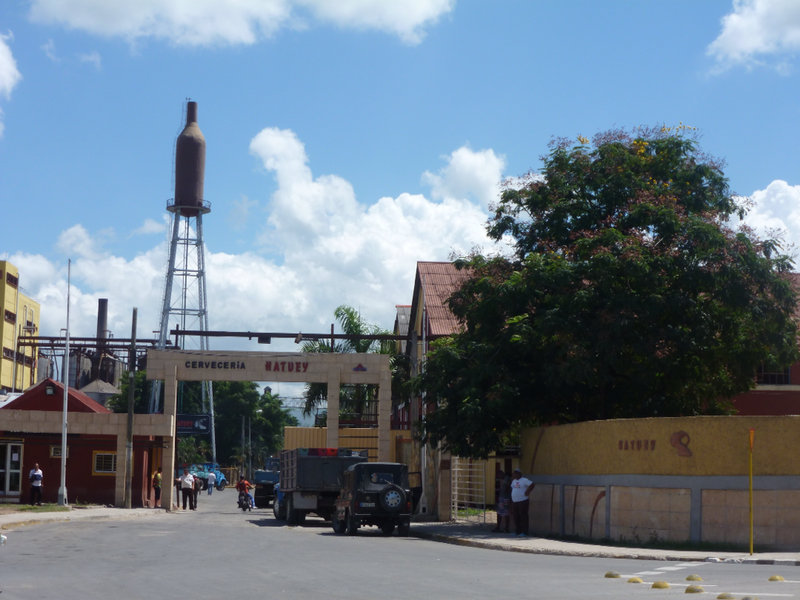 What if the Bacardi empire had continued to focus on their passion for both an independant Cuba and a successful rum company, rather than allowing their energies to be completely consumed by taking down Castro at any cost? Driven by petty personal loss (because let’s be clear: the financial “losses” garnered by the Bacardi empire after the Revolucion still allowed the family members villas in Spain as well as mansions in Flordia – not exactly a crushing financial collapse), the Bacardí family chose to support a Republican party whose policy included bringing Cuba back under American control: the very thing that both the Bacardí family and the Revolución spent their lives fighting against. 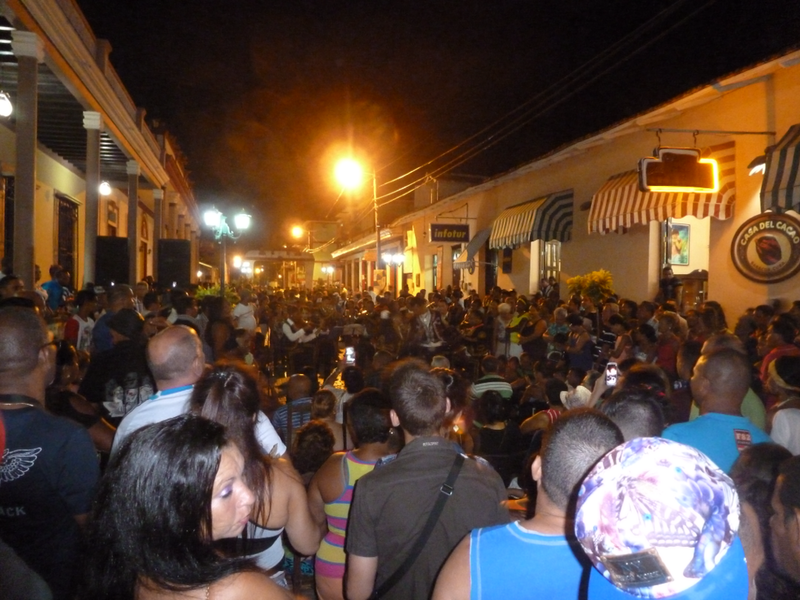 Santiago de Cuba is a hot and crowded city, crowded with generations of individual memories bristling against the collective shape of the city’s place in national history. It is an important and fascinating city, but also an exhausting one. There seems to be no place to rest, no tranquilo corner where one can be refreshed and filled with a new sense of impudence to face another day. 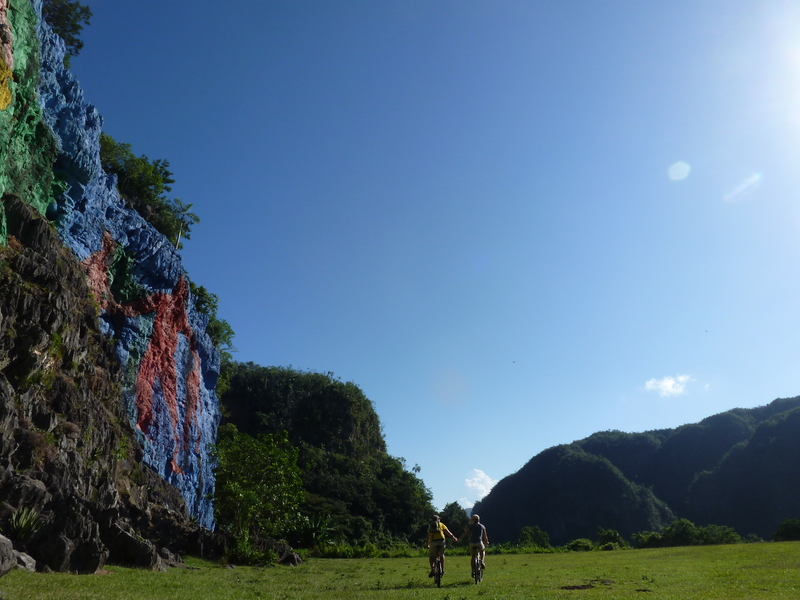 It was in search of this rest that Josh and I packed our bags, apologized to our defeated feet, and sleepily went to station to wait out our bus to Baracoa. Going into this trip, we knew the first half was going to be a little hectic. 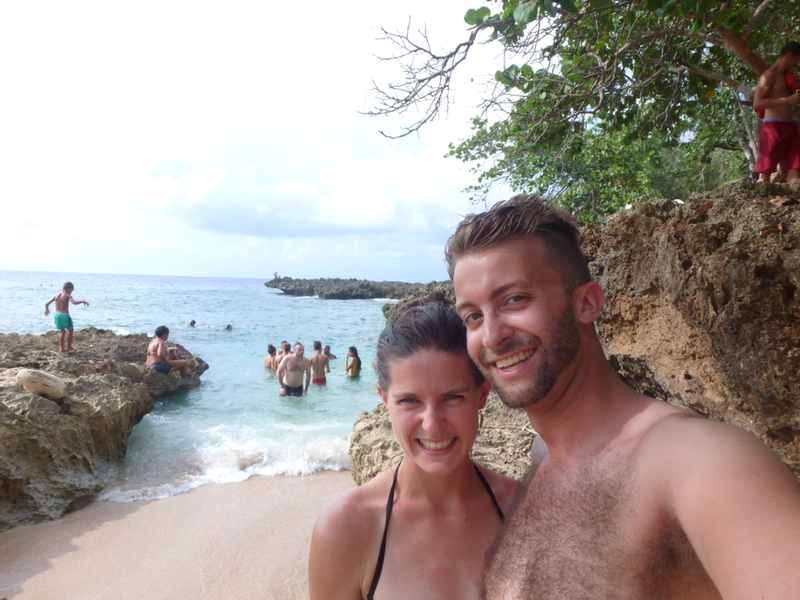 Eastern Cuba has so many specific things to see and do, and we were determined to see and do them all before making our way to the more tranquil, schedule-free West. 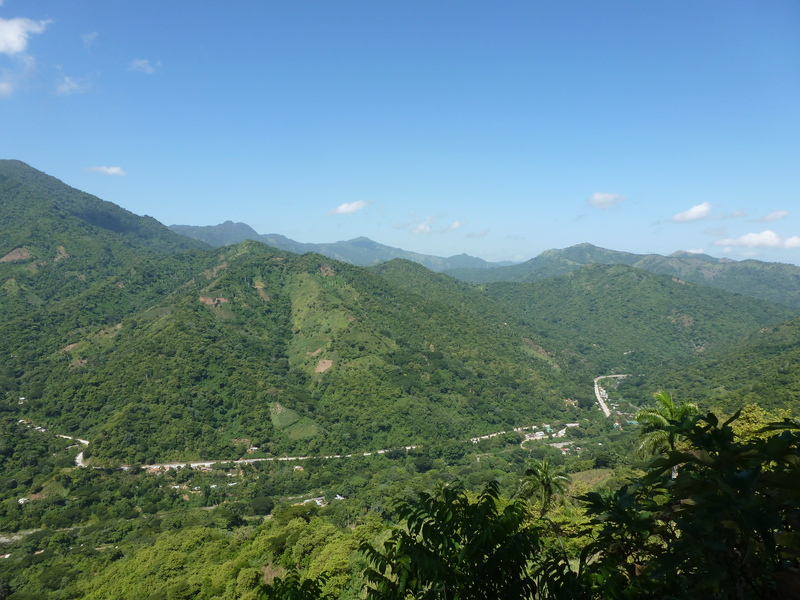 Sara’s already mentioned the chaotic scorching excitement of the city of Santiago, but even our rural venture into the Sierra Maestras had two clear objectives: the Comandancia de la Plata (the jungle hideaway from which the Castro brothers and Che built their revolution), and Pico Turquino (Cuba’s highest peak). The Comandancia was everything we hoped it would be: mysterious, inspiring, and basically untouched since it served its purpose nearly six decades ago. 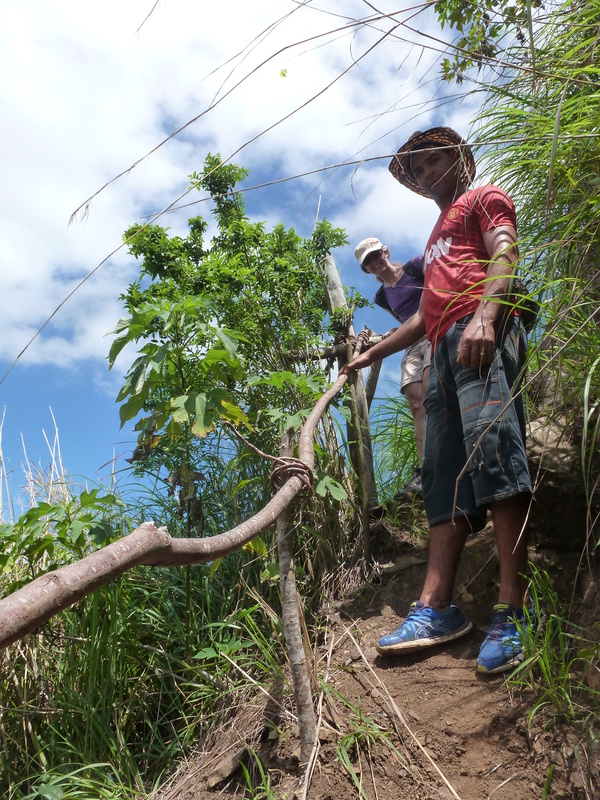 As far as hikes go it was nothing too challenging, thanks largely to the fact that the heavily armed guerillas who blindfold you and carry you through the jungle have now been replaced by nicely tended paths. The next morning, however, all that would change. 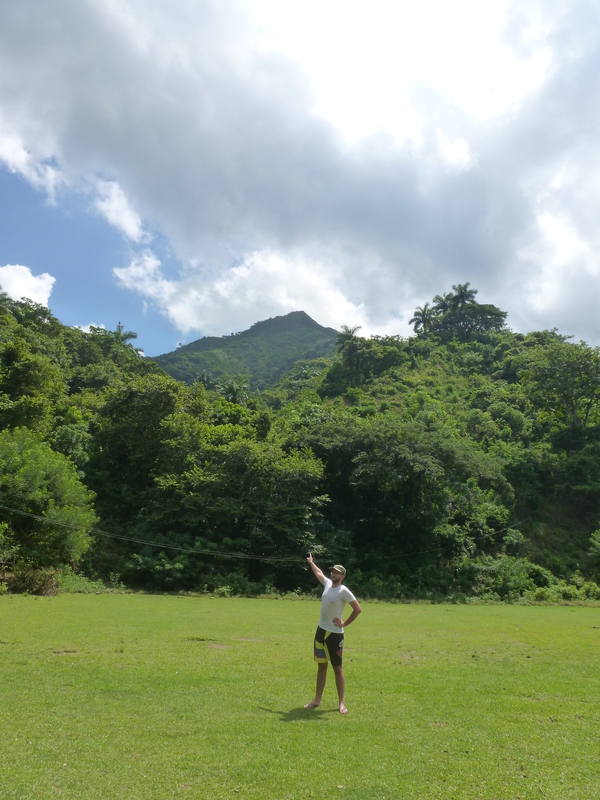 Full disclosure: We did not climb Cuba’s highest peak. The trail was closed which, as we were warned, was often the case. 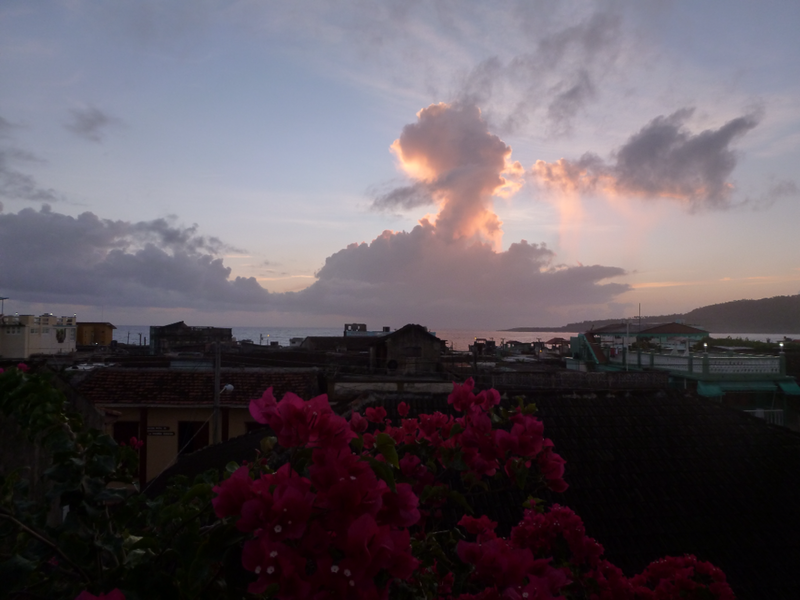 Our host, however, recommended a different peak, one which we could actually see right from our casa. 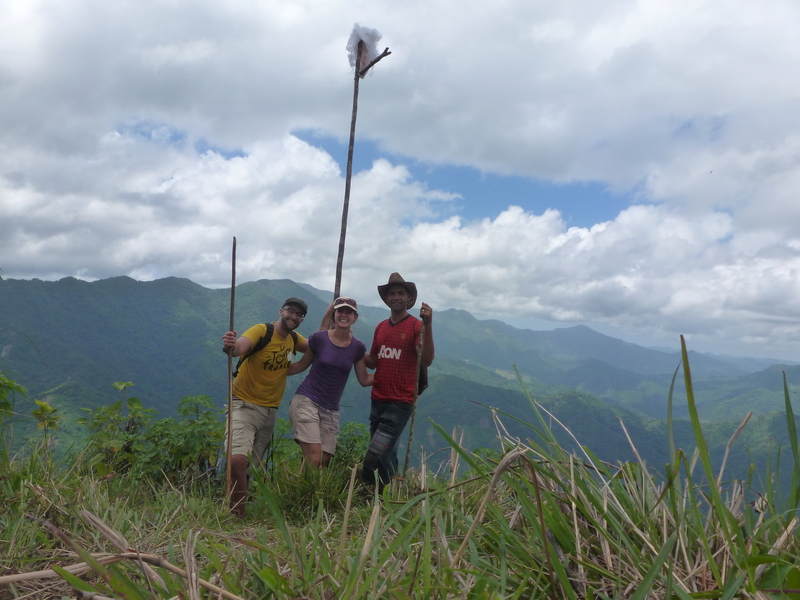 He hooked us up with an energetic young guide named Alexi who was happy to accompany these two fit Canadians on a merry little stroll up Pico Gayón. Our host’s recommended mountain top was one which we’d already appreciated from afar, as it stood benevolently over our casa. About a quarter of the way up, I look back at our progress and still have no idea what I’m getting myself into. 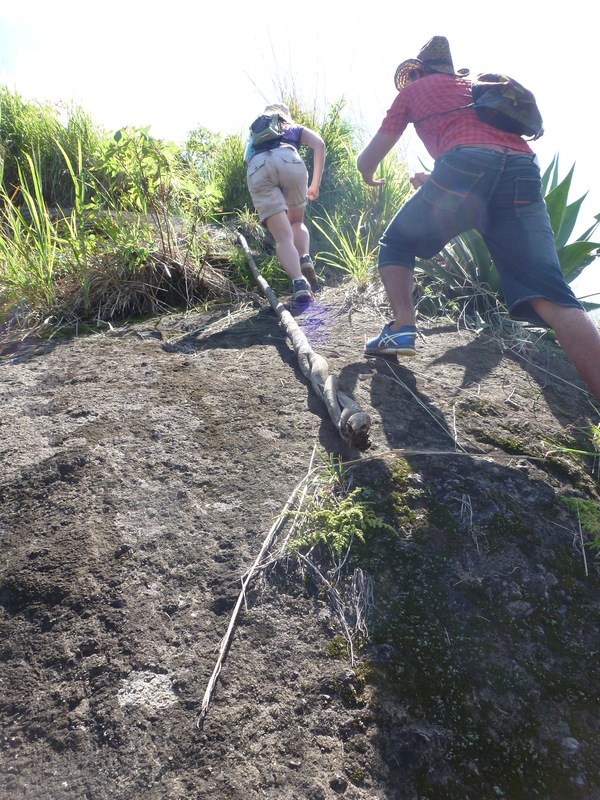 Sara and Alexi use a metal cable, anchored to the top of a near-vertical stretch of rock, to hoist themselves up. I do owe some major kudos to my two companions. Sara, with her trademark compassionate hard-assery, was immensely kind and encouraging whilst refusing to give into my requests that they go on without me (her responses to those requests gradually morphed from “Think of how disappointed you’ll be if you come all this way and don’t reach the top!” to “You gotta keep moving or the fire ants will literally kill you”, both of which were true and motivating in their own way). 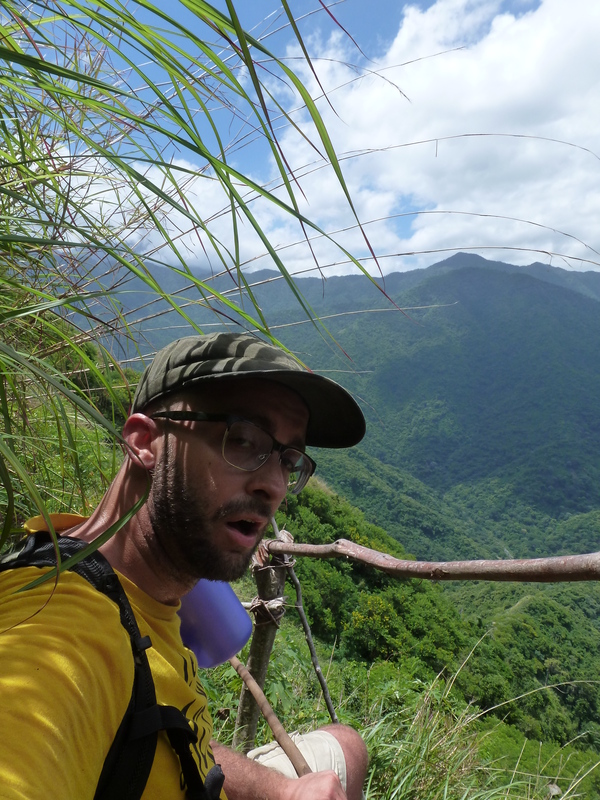 Alexi, meanwhile, maintained the patience of a saint for the entire trek, using all the time that I was lagging behind to discuss with Sara the fascinating ecology and geography of the region. Alexi and Sara kindly waiting for me to catch my breath before continuing on. 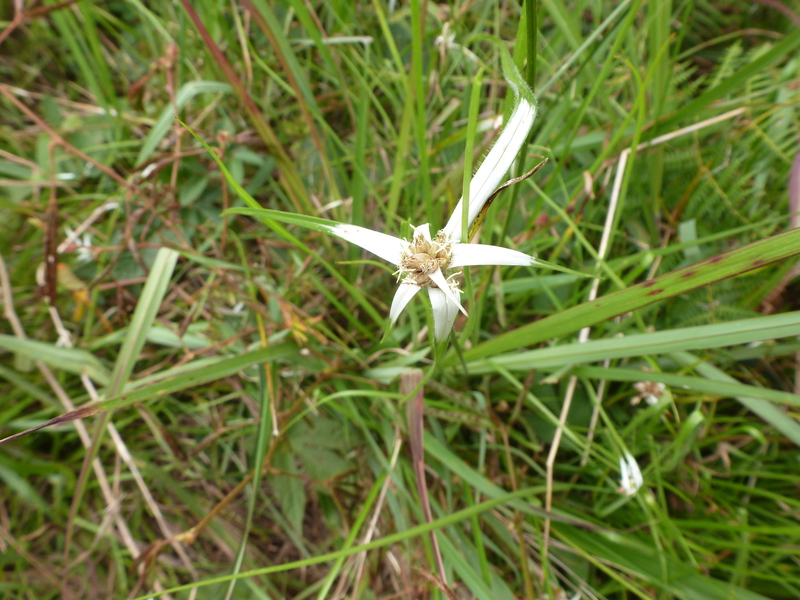 Some of the beautiful local flora. With the last of my energy, I hoisted myself over the last few fallen trees and finally came to a pleasantly breezy meadow with a literal old rugged cross marking the summit. 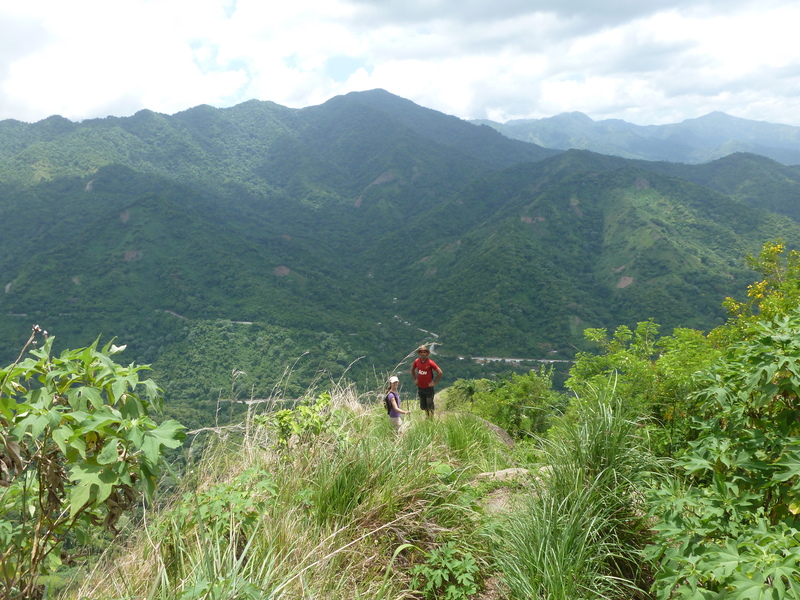 Alexi was waiting with bananas and guava juice, and the 360° view of the infamous Sierra Maestras was indeed breathtaking. The trek down was as treks down always are: physically easier, but more mentally challenging due to the constant reminder of how far you have to fall. Thankfully all our knees held out, and the worst injury was sustained by Sara, who took it like a champ. A significant portion of Sara’s heel had grown quite close with her blister-bandaid, and thus decided to accompany it as she removed her socks after the hike. As we reached the bottom, I thought there could be no physical sensation lovelier than level ground beneath my feet. Alexi managed to top that, however, by offering that we stop in at a neighbour’s place for coffee. 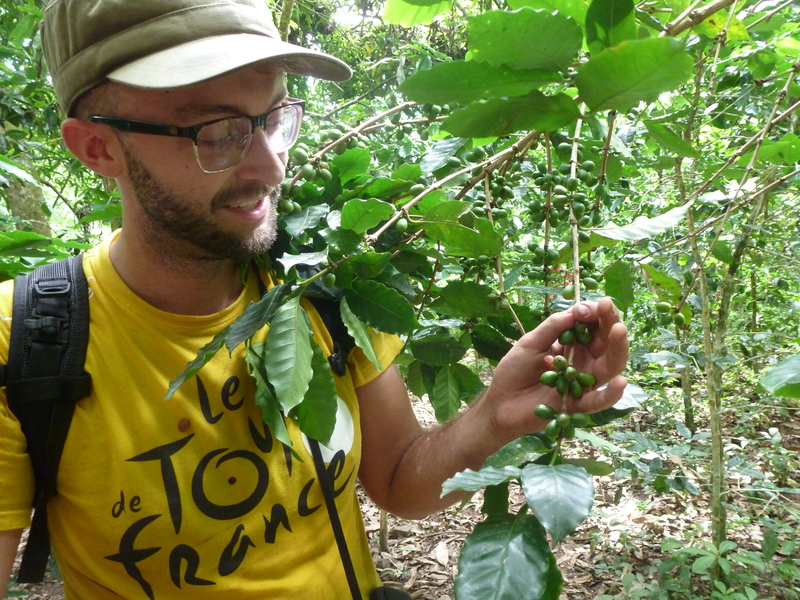 It turned out that this neighbour was, in fact, the farmer that owned the forest of coffee trees we had walked through at the beginning of the hike. 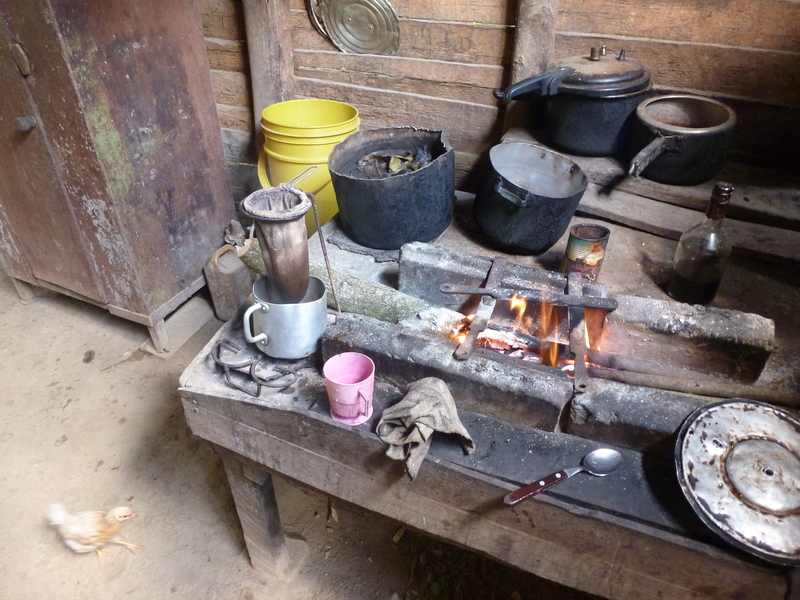 As chickens clucked around us, he showed us his roasting pan (conveniently located next to a pot of boiled fish heads), ground the beans with a giant mortar & pestle, scooped the grounds into a homemade filter, and percolated the coffee on his wood stove. A few minutes later we were enjoying the freshest cup of java we could ever taste while listening to him explain the ins and outs of coffee farming. So all’s well that ends well, I suppose, though my quads would fiercely disagree. Fullest disclosure: Now that I’m fully recovered, I would actually quite like to do something like that again. Just don’t tell Sara, or she’ll find a way to actually make it happen before we head home.